“Polska” redirects here. For other uses, see Polska (disambiguation). This article is about the country. For other uses, see Poland (disambiguation). 1. ^a See, however, Unofficial mottos of Poland. 2. ^b Although not official languages, Belarusian, Kashubian, Lithuanian and German are used in 20 communal offices. 3. ^c The adoption of Christianity in Poland is seen by many Poles, regardless of their religious affiliation or lack thereof, as one of the most significant national historical events; the new religion was used to unify the tribes in the region. 4. ^d The area of Poland according to the administrative division, as given by the Central Statistical Office, is 312,679 km2 (120,726 sq mi) of which 311,888 km2 (120,421 sq mi) is land area and 791 km2 (305 sq mi) is internal water surface area. Bolesław Chrobry Denarius of from XI century with Latin name Polonie. Poland /ˈpoʊlənd/ (Polish: Polska), officially the Republic of Poland (Polish: Rzeczpospolita Polska; Kashubian: Pòlskô Repùblika), is a country in Central Europe, bordered by Germany to the west; the Czech Republic and Slovakia to the south; Ukraine, Belarus and Lithuania to the east; and the Baltic Sea and Kaliningrad Oblast, a Russian exclave, to the north. The total area of Poland is 312,679 square kilometres (120,726 sq mi), making it the 69th largest country in the world and the 9th largest in Europe. Poland has a population of over 38.5 million people, which makes it the 34th most populous country in the world and the sixth most populous member of the European Union, being its most populous post-communist member. Poland is a unitary state made up of 16 voivodeships. Poland is a member of the European Union, NATO, the United Nations, the World Trade Organization, the Organisation for Economic Co-operation and Development (OECD), European Economic Area, International Energy Agency, Council of Europe, Organization for Security and Co-operation in Europe, International Atomic Energy Agency, European Space Agency, G6, Council of the Baltic Sea States, Visegrád Group, Weimar Triangle and Schengen Agreement. The establishment of a Polish state is often identified with the adoption of Christianity by its ruler Mieszko I in 966, over the territory similar to that of present-day Poland. The Kingdom of Poland was formed in 1025, and in 1569 it cemented a long association with the Grand Duchy of Lithuania by signing the Union of Lublin, forming the Polish–Lithuanian Commonwealth. The Commonwealth ceased to exist in 1795 as the Polish lands were partitioned among the Kingdom of Prussia, the Russian Empire, and Old Austria. Poland regained its independence as the Second Polish Republic in 1918. Two decades later, in September 1939, World War II started with the Nazi Germany and Soviet Union invasion of Poland (Molotov-Ribbentrop Pact). Over six million Polish citizens died in the war. The People's Republic was declared in 1952 although Poland was a client state of the Soviet Union from the closing days of the war. During the Revolutions of 1989, the communist state was overthrown and democratic rule was re-established in the form of the current Poland, constitutionally known as the "Third Polish Republic". Despite the vast destruction the country experienced in World War II, Poland managed to preserve much of its cultural wealth. There are currently 14 heritage sites inscribed on the UNESCO World Heritage list in Poland. Since the end of the communist period, Poland has achieved a "very high" ranking in terms of human development. The origin of the name Polanie itself is uncertain. It may derive from such Polish words as pole (field). The early tribal inhabitants denominated it from the nature of the country. Lowlands and low hills predominate throughout the vast region from the Baltic shores to the foothills of the Carpathian Mountains. Inter Alpes Huniae et Oceanum est Polonia, sic dicta in eorum idiomate quasi Campania is the description by Gervase of Tilbury in his Otia imperialia (Recreation for the emperor, 1211). In some languages the exonyms for Poland derive from another tribal name, Lechites (Lechici). Historians have postulated that throughout Late Antiquity, many distinct ethnic groups populated the regions of what is now known as Poland. The ethnicity and linguistic affiliation of these groups have been hotly debated; the time and route of the original settlement of Slavic peoples in these regions have been the particular subjects of much controversy. The most famous archeological find from the prehistory and protohistory of Poland is the Biskupin fortified settlement (now reconstructed as a museum), dating from the Lusatian culture of the early Iron Age, around 700 BC. Before adopting Christianity in 960 AD, the people of Poland believed in Svetovid, the Slavic god of war, fertility, and abundance. Many other Slavic nations had the same belief. Baptism of Poland in 966 AD. Poland began to form into a recognizable unitary and territorial entity around the middle of the 10th century under the Piast dynasty. Poland's first historically documented ruler, Mieszko I, was baptized in 966, adopting Catholicism as the nation's new official religion, to which the bulk of the population converted in the course of the next few centuries. In 1000 Boleslaw the Brave, continuing the policy of his father held a Congress of Gniezno and created a new dioceses (Gniezno, Kraków, Kołobrzeg, Wrocław). In 1109 Bolesław III Wrymouth defeated in Battle of Hundsfeld King of Germany Henry V. In 1138, Poland fragmented into several smaller duchies when Bolesław III Wrymouth divided the nation amongst his sons. In 1226 Konrad I of Masovia, one of the regional Piast dukes, invited the Teutonic Knights to help him fight the Baltic Prussian pagans; a decision which would ultimately lead to centuries of warfare with the Knights. In the middle of 13th century Poland was almost united by Silesian branch of Piast dynasty (Henry I the Bearded and Henry II the Pious), when the country was devastated by the Mongols and the Battle of Legnica where Duke Henry II the Pious died. In 1320, after a number of earlier unsuccessful attempts by regional rulers at uniting the Polish dukedoms, Władysław I consolidated his power, took the throne and became the first King of a reunified Poland. His son, Casimir III, is remembered as one of the greatest Polish kings, who was widely recognized as a protector of trade. He extended his kingdom to 250% of its initial size. Casimir is also known for extending royal protection to Jews and providing the original impetus for the establishment of Poland's first university. The Golden Liberty of the nobles began to develop under Casimir's rule, when in return for their military support, the king made serious concessions to the aristocrats, finally establishing their status as superior to that of the townsmen, and aiding their rise to power. When Casimir died in 1370 he left no legitimate male heir and, considering his other male descendants either too young or unsuitable, was laid to rest as the last of the nation's Piast rulers. Poland was also a centre of migration of peoples. The Germans settled in the towns, the Jewish community began to settle and flourish in Poland during this era (see History of the Jews in Poland); the same applies in smaller number to Armenians. The Black Death which affected most parts of Europe from 1347 to 1351 affected Poland to lesser extent. Nicolaus Copernicus "talking with God", who reveals to him the truth about the solar system. Painting by Jan Matejko. The rule of the Jagiellon dynasty spanned the late Middle Ages and early Modern Era of Polish history. Beginning with the Lithuanian Grand Duke Jogaila (Władysław II Jagiełło), the Jagiellon dynasty (1386–1572) formed the Polish–Lithuanian union. The partnership brought vast Lithuania-controlled Rus' areas into Poland's sphere of influence and proved beneficial for the Poles and Lithuanians, who coexisted and cooperated in one of the largest political entities in Europe for the next four centuries. In the Baltic Sea region Poland's struggle with the Teutonic Knights continued and included the Battle of Grunwald (1410), where a Polish-Lithuanian army inflicted a decisive defeat on the Teutonic Knights, both countries' main adversary, allowing Poland's and Lithuania's territorial expansion into the far north region of Livonia. In 1466, after the Thirteen Years' War, King Casimir IV Jagiellon gave royal consent to the milestone Peace of Thorn, which created the future Duchy of Prussia, a Polish vassal. The Jagiellons at one point also established dynastic control over the kingdoms of Bohemia (1471 onwards) and Hungary. In the south Poland confronted the Ottoman Empire and the Crimean Tatars (by whom they were attacked on 75 separate occasions between 1474 and 1569), and in the east helped Lithuania fight the Grand Duchy of Moscow. Some historians estimate that Crimean Tatar slave-raiding cost Poland one million of its population from 1494 to 1694. Poland was developing as a feudal state, with a predominantly agricultural economy and an increasingly powerful landed nobility. The Nihil novi act adopted by the Polish Sejm (parliament) in 1505, transferred most of the legislative power from the monarch to the Sejm, an event which marked the beginning of the period known as "Golden Liberty", when the state was ruled by the "free and equal" Polish nobility. Protestant Reformation movements made deep inroads into Polish Christianity, which resulted in the establishment of policies promoting religious tolerance, unique in Europe at that time. It is believed that this tolerance allowed the country to avoid the religious turmoil that spread over Europe during the late Middle Ages. The European Renaissance evoked in late Jagiellon Poland (kings Sigismund I the Old and Sigismund II Augustus) a sense of urgency in the need to promote a cultural awakening, and resultantly during this period Polish culture and the nation's economy flourished. 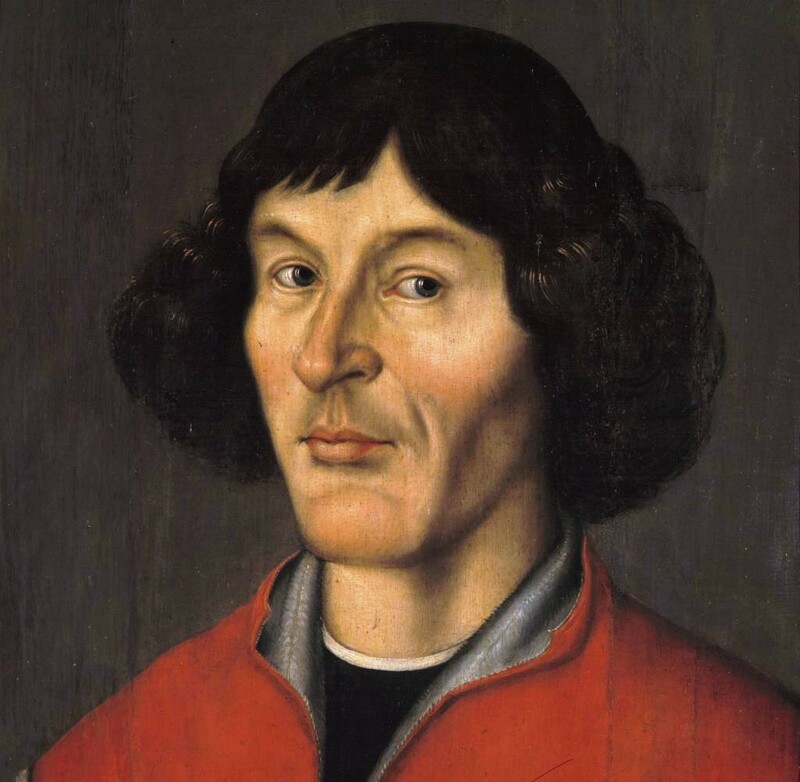 In 1543 the Pole, Nicolaus Copernicus, an astronomer from Toruń, published his epochal works, De revolutionibus orbium coelestium (On the Revolutions of the Celestial Spheres), and thus became the first proponent of a predictive mathematical model confirming heliocentric theory which ultimately became the accepted basic model for the practice of modern astronomy. Another major figure associated with the era is classicist poet Jan Kochanowski. The 1569 Union of Lublin established the Polish–Lithuanian Commonwealth, a more closely unified federal state with an elective monarchy, but which was governed largely by the nobility, through a system of local assemblies with a central parliament. The establishment of the Commonwealth coincided with a period of great stability and prosperity in Poland, with the union soon thereafter becoming a great European power and a major cultural entity, occupying approximately one million square kilometres of central Europe, as well as an agent for the of the 'Western culture' through Polonization in modern-day Ukraine, Belarus and Western Russia. Poland-Lithuania suffered from a number of dynastic crises during the reigns of the Vasa kings Sigismund III and Władysław IV and found itself engaged in a major conflicts with Russia, Sweden and the Ottoman Empire, as well as a series of minor Cossack uprisings. From the middle of the 17th century, the nobles' democracy, suffering from internal disorder, gradually declined, thus leaving the once powerful Commonwealth extremely vulnerable to foreign intervention. From 1648, the Cossack Khmelnytsky Uprising engulfed the south and east eventually leaving Ukraine divided, with the eastern part, lost by the Commonwealth, becoming a dependency of the Tsardom of Russia. This was soon followed by the 'Deluge', a Swedish invasion, which raged through the Polish heartlands and caused unprecedented damage to Poland's population, culture and infrastructure. Famines and epidemics followed hostilities, and the population dropped from roughly 11 to 7 million. However, under John III Sobieski the Commonwealth's military prowess was re-established, and in 1683 Polish forces played a major part in relieving Vienna of a major Turkish siege which was being conducted by Kara Mustafa in hope of eventually marching his troops further into Europe to spread Islam. Unfortunately, Sobieski's reign was to mark the end of the nation's golden-era, and soon, finding itself subjected to almost constant warfare and suffering enormous population losses as well as massive damage to its economy, the Commonwealth fell into decline. The government became ineffective as a result of large scale internal conflicts (e.g. Lubomirski's Rokosz against John II Casimir and rebellious confederations) and corrupted legislative processes. The nobility fell under the control of a handful of magnates, and this, compounded with two relatively weak kings of the Saxon Wettin dynasty, Augustus II and Augustus III, as well as the rise of Russia and Prussia after the Great Northern War only served to worsen the Commonwealth's plight. Despite this The Commonwealth-Saxony personal union gave rise to the emergence of the Commonwealth's first reform movement, and laid the foundations for the Polish Enlightenment. During the later part of the 18th century, the Commonwealth made attempts to implement fundamental internal reforms; with the second half of the century bringing a much improved economy, significant population growth and far-reaching progress in the areas of education, intellectual life, art, and especially toward the end of the period, evolution of the social and political system. The most populous capital city of Warsaw replaced Gdańsk (Danzig) as the leading centre of commerce, and the role of the more prosperous townsfolk soon increased. The royal election of 1764 resulted in the elevation of Stanisław August Poniatowski, a refined and worldly aristocrat connected to a major magnate faction, to the monarchy. However, a one-time lover of Empress Catherine II of Russia, the new king spent much of his reign torn between his desire to implement reforms necessary to save his nation, and his perceived necessity to remain in a relationship with his Russian sponsor. This ultimately led to the formation of the 1768 Bar Confederation; a szlachta rebellion directed against Russia and the Polish king which fought to preserve Poland's independence and the szlachta's traditional privileges. Attempts at reform provoked the union's neighbours, and in 1772 the First Partition of the Commonwealth by Russia, Austria and Prussia took place; an act which the "Partition Sejm", under considerable duress, eventually "ratified" fait accompli. Disregarding this loss, in 1773 the king established the Commission of National Education, the first government education authority in Europe. The long-lasting Great Sejm convened by Stanisław August in 1788 successfully adopted the May 3 Constitution, the first set of modern supreme national laws in Europe. However, this document, accused by detractors of harbouring revolutionary sympathies, soon generated strong opposition from the Commonwealth's nobles and conservatives as well as from Catherine II, who, determined to prevent the rebirth of a strong Commonwealth set about planning the final dismemberment of the Polish-Lithuanian state. Russia was greatly aided in achieving its goal when the Targowica Confederation, an organisation of Polish nobles, appealed to the Empress for help, and in May 1792 Russian forces crossed the Commonwealth's frontier, thus beginning the Polish-Russian War. The defensive war fought by the Poles and Lithuanians ended prematurely when the King, convinced of the futility of resistance, capitulated and joined the Targowica Confederation. The Confederation then took over the government; Russia and Prussia, fearing the mere existence of a Polish state, arranged for, and subsequently in 1793, executed the Second Partition of the Commonwealth, which left the country deprived of so much territory that it was practically incapable of independent existence. Eventually, in 1795, following the failed Kościuszko Uprising, the Commonwealth was partitioned one last time by all three of its more powerful neighbours, and with this, effectively ceased to exist. Poles rebelled several times against the partitioners, particularly near the end of the 18th century and the beginning of the 19th century. One of the most famous and successful attempts at securing renewed Polish independence took place in 1794, during the Kościuszko Uprising, at the Racławice where Tadeusz Kosciuszko, a popular and distinguished general who had served under Washington in America, led peasants and some Polish regulars into battle against numerically superior Russian forces. In 1807, Napoleon I of France recreated a Polish state, the Duchy of Warsaw, but after the Napoleonic Wars, Poland was again divided by the victorious Allies at the Congress of Vienna of 1815. The eastern part was ruled by the Russian tsar as a Congress Kingdom which possessed a very liberal constitution. However, the tsars soon reduced Polish freedoms, and Russia annexed the country in virtually all but name. Thus in the latter half of the 19th century, only Austrian-ruled Galicia, and particularly the Free City of Kraków, created good environment for free Polish cultural life to flourish. Throughout the period of the partitions, political and cultural repression of the Polish nation led to the organisation of a number of uprisings against the authorities of the occupying Russian, Prussian and Austrian governments. Notable amongst these are the November Uprising of 1830 and January Uprising of 1863, both of which were attempts to free Poland from the rule of tsarist Russia. The November uprising began on 29 November 1830 in Warsaw when, led by Lieutenant Piotr Wysocki, young non-commissioned officers at the Imperial Russian Army's military academy in that city revolted. They were soon joined by large segments of Polish society, and together forced Warsaw's Russian garrison to withdraw north of the city. Over the course of the next seven months, Polish forces successfully defeated the Russian armies of Field Marshal Hans Karl von Diebitsch and a number of other Russian commanders; however, finding themselves in a position unsupported by any other foreign powers, save distant France and the newborn United States, and with Prussia and Austria refusing to allow the import of military supplies through their territories, the Poles accepted that the uprising was doomed to failure. Upon the surrender of Warsaw to General Ivan Paskievich, many Polish troops, feeling they could not go on, withdrew into Germany and there laid down their arms. Poles would have to wait another 32 years for another opportunity to free their homeland. When in January 1863 a new Polish uprising against Russian rule began, it did so as a spontaneous protest by young Poles against conscription into the Imperial Russian Army. However, the insurrectionists, despite being joined by high-ranking Polish-Lithuanian officers and numerous politicians were still severely outnumbered and lacking in foreign support. They were forced to resort to guerrilla warfare tactics and ultimately failed to win any major military victories. Afterwards no major uprising was witnessed in the Russian controlled Congress Poland and Poles resorted instead to fostering economic and cultural self-improvement. Despite the political unrest experienced during the partitions, Poland did benefit from large scale industrialisation and modernisation programs, instituted by the occupying powers, which helped it develop into a more economically coherent and viable entity. This was particularly true in the Greater Poland, Pomerania and Warmia annexed by Prussia (later becoming a part of the German Empire); an area which eventually, thanks largely to the Greater Poland Uprising, was reconstituted as a part of the Second Polish Republic and became one of its most productive regions. During World War I, all the Allies agreed on the reconstitution of Poland that United States President Woodrow Wilson proclaimed in Point 13 of his Fourteen Points. A total of 2 million Polish troops fought with the armies of the three occupying powers, and 450,000 died. Shortly after the armistice with Germany in November 1918, Poland regained its independence as the Second Polish Republic (II Rzeczpospolita Polska). It reaffirmed its independence after a series of military conflicts, the most notable being the Polish–Soviet War (1919–1921) when Poland inflicted a crushing defeat on the Red Army at the Battle of Warsaw, an event which is considered to have ultimately halted the advance of Communism into Europe and forced Vladimir Lenin to rethink his objective of achieving global socialism. Nowadays the event is often referred to as the 'Miracle at the Vistula'. During this period, Poland successfully managed to fuse the territories of the three former partitioning powers into a cohesive nation state. Railways were restructured to direct traffic towards Warsaw instead of the former imperial capitals, a new network of national roads was gradually built up and a major seaport was opened on the Baltic Coast, so as to allow Polish exports and imports to bypass the politically charged Free City of Danzig. The inter-war period heralded in a new era of Polish politics. Whilst Polish political activists had faced heavy censorship in the decades up until the First World War, the country now found itself trying to establish a new political tradition. For this reason, many exiled Polish activists, such as Jan Paderewski (who would later become Prime Minister) returned home to help; a great number of them then went on to take key positions in the newly formed political and governmental structures. Tragedy struck in 1922 when Gabriel Narutowicz, inaugural holder of the Presidency, was assassinated at the Zachęta Gallery in Warsaw by painter and right-wing nationalist Eligiusz Niewiadomski. The 1926 May Coup of Józef Piłsudski turned rule of the Second Polish Republic over to the Sanacja movement. By the 1930s Poland had become increasingly authoritarian; a number of 'undesirable' political parties, such as the Polish Communists, had been banned and following Piłsudski's death, the regime, unable to appoint a new leader, began to show its inherent internal weaknesses and unwillingness to cooperate in any way with other political parties. The Sanacja movement controlled Poland until the start of World War II in 1939, when Nazi Germany's and Slovakia Invasion of Poland (1939) on 1 September and the Soviet invasion of Poland on 17 September, which followed the breaking of the Soviet–Polish Non-Aggression Pact, occurred. Warsaw capitulated on 28 September 1939. As agreed in the Molotov–Ribbentrop Pact, Poland was split into two zones, one occupied by Nazi Germany while the Kresy, or Borderlands, fell under the control of the Soviet Union. In 1939-1941, the Soviets had moved hundreds of thousands of Poles across the Soviet Union, and the Soviet secret police, NKVD, had executed thousands of Polish prisoners of war (inter alia Katyn massacre). Poland made the fourth-largest troop contribution to the Allied war effort, after the Soviets, the British and the Americans. [a] Polish troops fought under the command of both the Polish Government in Exile in the theatre of war west of Germany and under Soviet leadership in the theatre of war east of Germany. The Polish expeditionary corps, which was controlled by the exiled pre-war government based in London, played an important role in the Italian and North African Campaigns. They are particularly well remembered for their conduct at the Battle of Monte Cassino, a conflict which culminated in the raising of a Polish flag over the ruins of the mountain-top abbey by the 12th Podolian Uhlans. The Polish forces in the theatre of war east of Germany were commanded by Lieutenant General Władysław Anders who had received his command from Prime Minister of the exiled government Władysław Sikorski. On the east of Germany, the Soviet-backed Polish 1st Army distinguished itself in the battles for Berlin and Warsaw, although its actions in support of the latter have often been criticised. Polish servicemen were also active in the theatres of naval and air warfare; during the Battle of Britain Polish squadrons such as the No. 303 "Kościuszko" fighter squadron achieved great success, and by the end of the war the exiled Polish Air Forces could claim 769 confirmed kills. Meanwhile, the Polish Navy was active in the protection of convoys in the North Sea and Atlantic Ocean. In addition to the organised units of the 1st Army and the Forces in the Nazi-occupied Europe, the domestic underground resistance movement, the Armia Krajowa, or Home Army, fought to free Poland from German occupation and establish an independent Polish state. The wartime resistance movement in Poland was one of the three largest resistance movements of the entire war[b] and encompassed an unusually broad range of clandestine activities, which essentially functioned as an underground state complete with degree-awarding universities and a court system. The resistance was, however, largely loyal to the exiled government and generally resented the idea of a communist Poland; for this reason, on 1 August 1944 they initiated Operation Tempest and thus began the Warsaw Uprising. The objective of the uprising was to drive the German occupiers from the city and help with the larger fight against Germany and the Axis powers, however secondary motives for the uprising sought to see Warsaw liberated before the Soviets could reach the capital, so as to underscore Polish sovereignty by empowering the Polish Underground State before the Soviet-backed Polish Committee of National Liberation could assume control. However, a lack of available allied military aid and Stalin's reluctance to allow the 1st Army to help their fellow countrymen take the city, ultimately led to the uprising's failure and subsequent planned destruction of the city. Grave of Polish fighter killed during the Warsaw Uprising. The battle lasted 63 days, and resulted in the deaths of 200,000 people. During the war, German forces, under direct order from Adolf Hitler, set up six major extermination camps, all of which were established on Polish territory; these included both the notorious Treblinka and Auschwitz camps. This allowed the Germans to transport the Jews living in the Third Reich outside of "German" territory, as well as to import Jews and other targeted groups from across occupied Europe to be "liquidated," or killed, in the concentration camps set up in the General Government. Among such groups were Polish intelligentsia, communists, Roma peoples and Soviet Prisoners of War. However, since millions of Jews lived in pre-war Poland, Jewish victims make up the largest percentage of all victims of the Nazis' extermination program. It is estimated that, of pre-war Poland's Jewry, approximately 90% (or about 3 million members) were killed. Throughout the occupation, many members of the Armia Krajowa, supported by the Polish government in exile, and millions of ordinary Poles — at great risk to themselves and their families — engaged in rescuing Jews from the Nazi Germans. Grouped by nationality, Poles represent the largest number of people who rescued Jews during the Holocaust. To date, 6,135 Poles have been awarded the title of Righteous among the Nations by the State of Israel–more than any other nation. Some estimates put the number of Poles involved in rescue efforts at up to 3 million, and credit Poles with saving up to approximately 450,000 Jews from certain death. At the war's conclusion, Poland's territory was shifted westwards, pushing the Kresy in accordance with the Curzon Line. Meanwhile, the western border moved to the Oder-Neisse line. As a result, Poland's territory was reduced by 20%, or 77,500 square kilometres (29,900 sq mi). The shift forced the migration of millions of people, most of whom were Poles, Germans, Ukrainians, and Jews. Of all the countries involved in the war, Poland lost the highest percentage of its citizens: over 6 million perished — nearly one-fifth of Poland's population — half of them Polish Jews. Over 90% of deaths were non-military in nature. Only in the 1970s did Poland again approach its prewar population levels. At the insistence of Joseph Stalin, the Yalta Conference sanctioned the formation of a new Polish provisional and pro-Communist coalition government in Moscow, which ignored the Polish government-in-exile based in London; a move which angered many Poles who considered it a betrayal by the Allies. In 1944, Stalin had made guarantees to Churchill and Roosevelt that he would maintain Poland's sovereignty and allow democratic elections to take place; however, upon achieving victory in 1945, the occupying Soviet authorities organised an election which constituted nothing more than a sham and was ultimately used to claim the 'legitimacy' of Soviet hegemony over Polish affairs. 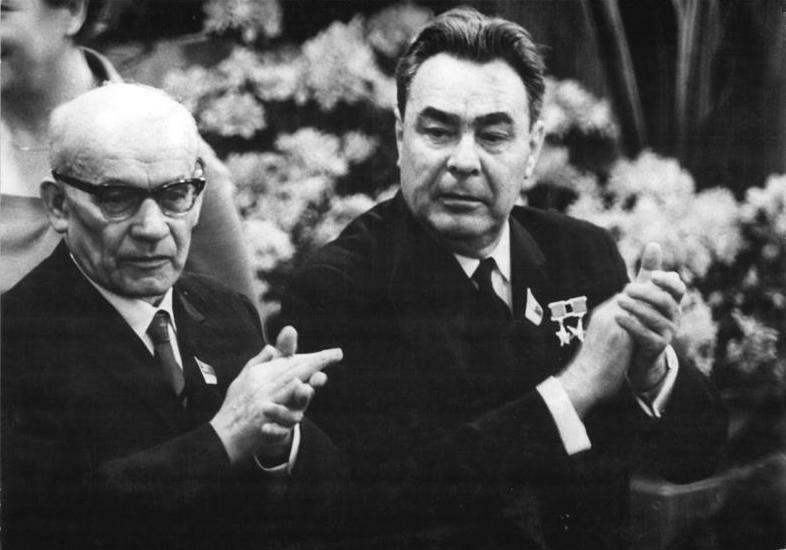 The Soviet Union instituted a new communist government in Poland, analogous to much of the rest of the Eastern Bloc. As elsewhere in Communist Europe the Soviet occupation of Poland met with armed resistance from the outset which continued into the fifties. Despite widespread objections, the new Polish government accepted the Soviet annexation of the pre-war eastern regions of Poland (in particular the cities of Wilno and Lwów) and agreed to the permanent garrisoning of Red Army units on Poland's territory. Military alignment within the Warsaw Pact throughout the Cold War came about as a direct result of this change in Poland's political culture and in the European scene came to characterise the fully-fledged integration of Poland into the brotherhood of communist nations. The People's Republic of Poland (Polska Rzeczpospolita Ludowa) was officially proclaimed in 1952. In 1956 after the death of Bolesław Bierut, the régime of Władysław Gomułka became temporarily more liberal, freeing many people from prison and expanding some personal freedoms. A similar situation repeated itself in the 1970s under Edward Gierek, but most of the time persecution of anti-communist opposition groups persisted. Despite this, Poland was at the time considered to be one of the least repressive states of the Soviet Bloc. Labour turmoil in 1980 led to the formation of the independent trade union "Solidarity" ("Solidarność"), which over time became a political force. Despite persecution and imposition of martial law in 1981, it eroded the dominance of the Communist Party and by 1989 had triumphed in Poland's first partially free and democratic parliamentary elections since the end of the Second World War. Lech Wałęsa, a Solidarity candidate, eventually won the presidency in 1990. The Solidarity movement heralded the collapse of communist regimes and parties across Europe. Poland joined NATO in 1999 and since 2004 has been a member of the European Union. A shock therapy programme, initiated by Leszek Balcerowicz in the early 1990s enabled the country to transform its socialist-style planned economy into a market economy. As with all other post-communist countries, Poland suffered temporary slumps in social and economic standards, but it became the first post-communist country to reach its pre-1989 GDP levels, which it achieved by 1995 largely thanks to its booming economy. Most visibly, there were numerous improvements in human rights, such as the freedom of speech, civil liberties (1st class) and political rights (1st class), according to Freedom House. In 1991, Poland became a member of the Visegrád Group and joined the North Atlantic Treaty Organization (NATO) alliance in 1999 along with the Czech Republic and Hungary. Poles then voted to join the European Union in a referendum in June 2003, with Poland becoming a full member on 1 May 2004. Subsequently Poland joined the Schengen Area in 2007, as a result of which, the country's borders with other member states of the European Union have been dismantled, allowing for full freedom of movement within most of the EU. In contrast to this, the section of Poland's eastern border now comprising the external EU border with Belarus, Russia and Ukraine, has become increasingly well protected, and has led in part to the coining of the phrase 'Fortress Europe', in reference to the seeming 'impossibility' of gaining entry to the EU for citizens of the former Soviet Union. On April 10, 2010, the President of the Republic of Poland, Lech Kaczyński, along with 89 other high-ranking Polish officials died in a plane crash near Smolensk, Russia. The president's party were on their way to attend an annual service of commemoration for the victims of the Katyń massacre when the tragedy took place. Poland's territory extends across several geographical regions, between latitudes 49° and 55° N, and longitudes 14° and 25° E. In the north-west is the Baltic seacoast, which extends from the Bay of Pomerania to the Gulf of Gdańsk. This coast is marked by several spits, coastal lakes (former bays that have been cut off from the sea), and dunes. The largely straight coastline is indented by the Szczecin Lagoon, the Bay of Puck, and the Vistula Lagoon. The centre and parts of the north lie within the North European Plain. Rising gently above these lowlands is a geographical region comprising the four hilly districts of moraines and moraine-dammed lakes formed during and after the Pleistocene ice age. These lake districts are the Pomeranian Lake District, the Greater Polish Lake District, the Kashubian Lake District, and the Masurian Lake District. The Masurian Lake District is the largest of the four and covers much of north-eastern Poland. The lake districts form part of the Baltic Ridge, a series of moraine belts along the southern shore of the Baltic Sea. South of the Northern European Lowlands lie the regions of Silesia and Masovia, which are marked by broad ice-age river valleys. Farther south lies the Polish mountain region, including the Sudetes, the Cracow-Częstochowa Upland, the Świętokrzyskie Mountains, and the Carpathian Mountains, including the Beskids. The highest part of the Carpathians is the Tatra Mountains, along Poland's southern border. The geological structure of Poland has been shaped by the continental collision of Europe and Africa over the past 60 million years, on the one hand (and the other), by the Quaternary glaciations of northern Europe. Both processes shaped the Sudetes and the Carpathian Mountains. The moraine landscape of northern Poland contains soils made up mostly of sand or loam, while the ice age river valleys of the south often contain loess. The Cracow-Częstochowa Upland, the Pieniny, and the Western Tatras consist of limestone, while the High Tatras, the Beskids, and the Karkonosze are made up mainly of granite and basalts. The Polish Jura Chain is one of the oldest mountain ranges on earth. Poland has 70 mountains over 2,000 metres (6,600 ft) in elevation, all in the Tatras. The Polish Tatras, which consist of the High Tatras and the Western Tatras, is the highest mountain group of Poland and of the entire Carpathian range. In the High Tatras lies Poland’s highest point, the north-western peak of Rysy, 2,499 metres (8,199 ft) in elevation. At its foot lies the mountain lakes of Czarny Staw pod Rysami (Black Lake below Mount Rysy), and Morskie Oko (the Marine Eye). The second highest mountain group in Poland is the Beskids, whose highest peak is Babia Góra, at 1,725 metres (5,659 ft). The next highest mountain groups is the Karkonosze in the Sudetes, whose highest point is Śnieżka, at 1,602 metres (5,256 ft); Śnieżnik Mountains whose highest point is Śnieżnik, at 1,425 metres (4,675 ft). Tourists also frequent the Bieszczady Mountains in the far southeast of Poland, whose highest point in Poland is Tarnica, with an elevation of 1,346 metres (4,416 ft), Gorce Mountains in Gorce National Park, whose highest point is Turbacz, with elevations 1,310 metres (4,298 ft), and the Pieniny in Pieniny National Park, whose highest point is Wysokie Skałki (Wysoka), with elevations 1,050 metres (3,445 ft). The lowest point in Poland — at 2 metres (6.6 ft) below sea level — is at Raczki Elbląskie, near Elbląg in the Vistula Delta. The only desert located in Poland stretches over the Zagłębie Dąbrowskie (the Coal Fields of Dąbrowa) region. It is called the Błędów Desert, located in the Silesian Voivodeship in southern Poland. It has a total area of 32 square kilometres (12 sq mi). It is one of only five natural deserts in Europe. But also, it is the warmest desert that appears at this latitude. Błędów Desert was created thousands of years ago by a melting glacier. The specific geological structure has been of big importance. The average thickness of the sand layer is about 40 metres (131 ft), with a maximum of 70 metres (230 ft), which made the fast and deep drainage very easy. The Baltic Sea activity in Słowiński National Park created sand dunes which in the course of time separated the bay from the sea. As waves and wind carry sand inland the dunes slowly move, at a speed of 3 to 10 metres (9.8 to 32.8 ft) meters per year. Some dunes are quite high – up to 30 metres (98 ft). The highest peak of the park — Rowokol (115 metres / 377 feet above sea level) — is also an excellent observation point. The longest rivers are the Vistula (Polish: Wisła), 1,047 kilometres (651 mi) long; the Oder (Polish: Odra) which forms part of Poland’s western border, 854 kilometres (531 mi) long; its tributary, the Warta, 808 kilometres (502 mi) long; and the Bug, a tributary of the Vistula, 772 kilometres (480 mi) long. The Vistula and the Oder flow into the Baltic Sea, as do numerous smaller rivers in Pomerania. The Łyna and the Angrapa flow by way of the Pregolya to the Baltic, and the Czarna Hańcza flows into the Baltic through the Neman. While the great majority of Poland’s rivers drain into the Baltic Sea, Poland’s Beskids are the source of some of the upper tributaries of the Orava, which flows via the Váh and the Danube to the Black Sea. The eastern Beskids are also the source of some streams that drain through the Dniester to the Black Sea. Poland’s rivers have been used since early times for navigation. The Vikings, for example, traveled up the Vistula and the Oder in their longships. In the Middle Ages and in early modern times, when the Polish–Lithuanian Commonwealth was the breadbasket of Europe; the shipment of grain and other agricultural products down the Vistula toward Gdańsk and onward to other parts of Europe took on great importance. With almost ten thousand closed bodies of water covering more than 1 hectare (2.47 acres) each, Poland has one of the highest numbers of lakes in the world. In Europe, only Finland has a greater density of lakes. The largest lakes, covering more than 100 square kilometres (39 sq mi), are Lake Śniardwy and Lake Mamry in Masuria, and Lake Łebsko and Lake Drawsko in Pomerania. In addition to the lake districts in the north (in Masuria, Pomerania, Kashubia, Lubuskie, and Greater Poland), there is also a large number of mountain lakes in the Tatras, of which the Morskie Oko is the largest in area. The lake with the greatest depth—of more than 100 metres (328 ft)—is Lake Hańcza in the Wigry Lake District, east of Masuria in Podlaskie Voivodeship. Among the first lakes whose shores were settled are those in the Greater Polish Lake District. The stilt house settlement of Biskupin, occupied by more than one thousand residents, was founded before the 7th century BC by people of the Lusatian culture. Lakes have always played an important role in Polish history and continue to be of great importance to today's modern Polish society. The ancestors of today’s Poles, the Polanie, built their first fortresses on islands in these lakes. The legendary Prince Popiel is supposed to have ruled from Kruszwica on Lake Gopło. The first historically documented ruler of Poland, Duke Mieszko I, had his palace on an island in the Warta River in Poznań. Nowadays the Polish lakes provide an invaluable location for the pursuit of water sports such as yachting and wind-surfing. The Polish Baltic coast is approximately 528 kilometres (328 mi) long and extends from Świnoujście on the islands of Usedom and Wolin in the west to Krynica Morska on the Vistula Spit in the east. For the most part, Poland has a smooth coastline, which has been shaped by the continual movement of sand by currents and winds. This continual erosion and deposition has formed cliffs, dunes, and spits, many of which have migrated landwards to close off former lagoons, such as Łebsko Lake in Słowiński National Park. Prior to the end of the Second World War and subsequent change in national borders, Poland had only a very small coastline; this was situated at the end of the 'Polish Corridor', the only internationally recognised Polish territory which afforded the country access to the sea. However after World War II, the redrawing of Poland's borders and resulting 'shift' of the country's borders left it with a greatly expanded coastline, thus allowing for far greater access to the sea than was ever previously possible. The significance of this event, and importance of it to Poland's future as a major industrialised nation, was allured to by the 1945 Wedding to the Sea. The largest spits are Hel Peninsula and the Vistula Spit. The largest Polish Baltic island is Wolin. The largest port cities are Gdynia, Gdańsk, Szczecin, and Świnoujście. The main coastal resorts are Sopot, Międzyzdroje, Kołobrzeg, Łeba, Władysławowo, and the Hel Peninsula. Forests cover 28.8% of Poland’s land area. More than half of the land is devoted to agriculture. While the total area under cultivation is declining, the remaining farmland is more intensively cultivated. More than 1% of Poland’s territory, 3,145 square kilometres (1,214 sq mi), is protected within 23 Polish national parks. Three more national parks are projected for Masuria, the Cracow-Częstochowa Upland, and the eastern Beskids. In addition, wetlands along lakes and rivers in central Poland are legally protected, as are coastal areas in the north. There are over 120 areas designated as landscape parks, along with numerous nature reserves and other protected areas. Present day Poland is a country with great agricultural prospects; there are over two million private farms in the country, and Poland is the leading producer in Europe of potatoes and rye and is one of the world's largest producers of sugar beets and triticale. This has led Poland to be described on occasion as the future 'bread basket of the European Union'. However, despite employing around 16% of the workforce, agricultural output in Poland remains low and the industry is characterised as largely inefficient due to the large number of small, independent farms. This situation is likely to soon change for the better with the government debating agricultural reform and currently pursuing the option of auctioning off large tracts of state-owned agricultural land. Family of White Stork. Poland hosts the largest White Stork population. Phytogeographically, Poland belongs to the Central European province of the Circumboreal Region within the Boreal Kingdom. According to the World Wide Fund for Nature, the territory of Poland can be subdivided into three ecoregions: the Baltic mixed forests, Central European mixed forests and Carpathian montane conifer forests. Many animals that have since died out in other parts of Europe still survive in Poland, such as the wisent in the ancient woodland of the Białowieża Forest and in Podlaskie. Other such species include the brown bear in Białowieża, in the Tatras, and in the Beskids, the gray wolf and the Eurasian Lynx in various forests, the moose in northern Poland, and the beaver in Masuria, Pomerania, and Podlaskie. In the forests, one also encounters game animals, such as red deer, roe deer and wild boars. In eastern Poland there are a number of ancient woodlands, like Białowieża forest, that have never been cleared by people. There are also large forested areas in the mountains, Masuria, Pomerania, Lubusz Land and Lower Silesia. Poland is the most important breeding ground for European migratory birds. Out of all of the migratory birds who come to Europe for the summer, one quarter breed in Poland, particularly in the lake districts and the wetlands along the Biebrza, the Narew, and the Warta, which are part of nature reserves or national parks. The climate is mostly temperate throughout the country. The climate is oceanic in the north and west and becomes gradually warmer and continental towards the south and east. Summers are generally warm, with average temperatures between 18 °C (64 °F) and 30 °C (86.0 °F) depending on a region. Winters are rather cold, with average temperatures around 3 °C (37.4 °F) in the northwest and −6 °C (21.2 °F) in the northeast. Precipitation falls throughout the year, although, especially in the east; winter is drier than summer. The warmest region in Poland is Lower Silesian located in south-western Poland where temperatures in the summer average between 24 °C (75.2 °F) and 32 °C (90 °F) but can go as high as 34 °C (93.2 °F) to 39 °C (102.2 °F) on some days in the warmest month of July and August. The warmest cities in Poland are Tarnów, which is situated in Lesser Poland and Wrocław, which is located in Lower Silesian. The average temperatures in Wrocław are 20 °C (68 °F) in the summer and 0 °C (32.0 °F) in the winter, but Tarnów has the longest summer in all of Poland, which lasts for 115 days, from mid-May to mid-September. The coldest region of Poland is in the northeast in the Podlaskie Voivodeship near the border of Belarus. Usually the coldest city is Suwałki. The climate is affected by cold fronts which come from Scandinavia and Siberia. The average temperature in the winter in Podlaskie ranges from −6 °C (21.2 °F) to −4 °C (24.8 °F). Poland is a democracy, with a president as a head of state, whose current constitution dates from 1997. The government structure centers on the Council of Ministers, led by a prime minister. The president appoints the cabinet according to the proposals of the prime minister, typically from the majority coalition in the Sejm. The president is elected by popular vote every five years. The president is Bronisław Komorowski. Komorowski replaced President Lech Kaczyński following the latter's death in an April 10, 2010 air crash. The prime minister, Donald Tusk, was appointed in 2007 after his Civic Platform party made significant gains in that year's parliamentary elections. In 2011, Tusk became the first Polish prime minister in history to be democratically re-elected for a consecutive term. Polish voters elect a bicameral parliament consisting of a 460-member lower house (Sejm) and a 100-member Senate (Senat). The Sejm is elected under proportional representation according to the d'Hondt method, a method similar to that used in many parliamentary political systems. The Senat, on the other hand, is elected under the First-past-the-post voting method, with one senator being returned from each of the 100 constituencies. With the exception of ethnic minority parties, only candidates of political parties receiving at least 5% of the total national vote can enter the Sejm. When sitting in joint session, members of the Sejm and Senat form the National Assembly (the Zgromadzenie Narodowe). The National Assembly is formed on three occasions: when a new President takes the oath of office; when an indictment against the President of the Republic is brought to the State Tribunal (Trybunał Stanu); and when a president's permanent incapacity to exercise his duties because of the state of his health is declared. To date only the first instance has occurred. The judicial branch plays an important role in decision-making. Its major institutions include the Supreme Court of the Republic of Poland (Sąd Najwyższy); the Supreme Administrative Court of the Republic of Poland (Naczelny Sąd Administracyjny); the Constitutional Tribunal of the Republic of Poland (Trybunał Konstytucyjny); and the State Tribunal of the Republic of Poland (Trybunał Stanu). On the approval of the Senat, the Sejm also appoints the ombudsman or the Commissioner for Civil Rights Protection (Rzecznik Praw Obywatelskich) for a five-year term. The ombudsman has the duty of guarding the observance and implementation of the rights and liberties of Polish citizens and residents, of the law and of principles of community life and social justice. In 2011, Poles elected Anna Grodzka as the first ever transsexual MP in European history, and the second transgender MP in European history, after the Italian Vladimir Luxuria. The Constitution of May 3, 1791 has been called the first of its kind in Europe. The Constitution of Poland is the supreme law in contemporary Poland, and the Polish legal system is based on the principle of civil rights, governed by the code of Civil Law. Historically, the most famous Polish legal act is the Constitution of May 3, 1791. Historian Norman Davies describes it as the first of its kind in Europe. The Constitution was instituted as a Government Act (Polish: Ustawa rządowa) and then adopted on May 3, 1791 by the Sejm of the Polish–Lithuanian Commonwealth. Primarily, it was designed to redress long-standing political defects of the federative Polish–Lithuanian Commonwealth and its Golden Liberty. Previously only the Henrican articles signed by each of Poland's elected kings could perform the function of a set of basic laws. The new Constitution introduced political equality between townspeople and the nobility (szlachta), and placed the peasants under the protection of the government, thus mitigating the worst abuses of serfdom. The Constitution abolished pernicious parliamentary institutions such as the liberum veto, which at one time had placed the sejm at the mercy of any deputy who might choose, or be bribed by an interest or foreign power, to have rescinded all the legislation that had been passed by that sejm. The May 3rd Constitution sought to supplant the existing anarchy fostered by some of the country's reactionary magnates, with a more egalitarian and democratic constitutional monarchy. Unfortunately, the adoption of such a liberal constitution was treated as a grave threat by Poland's more autocratic neighbours. In response Prussia, Austria and Russia formed an anti-Polish alliance and over the next decade collaborated with one another to partition their weaker neighbour and ultimately destroy the Polish state. In the words of two of its co-authors, Ignacy Potocki and Hugo Kołłątaj, the constitution represented "the last will and testament of the expiring Fatherland." Despite this, its text influenced many later democratic movements across the globe. Poland's current constitution was adopted by the National Assembly of Poland on 2 April 1997, approved by a national referendum on 25 May 1997, and came into effect on 17 October 1997. It guarantees a multi-party state, the freedoms of religion, speech and assembly, and specifically casts off many Communist ideals to create a 'free market economic system'. It requires public officials to pursue ecologically sound public policy and acknowledges the inviolability of the home, the right to form trade unions, and to strike, whilst at the same time prohibiting the practices of forced medical experimentation, torture and corporal punishment. In recent years, Poland has extended its responsibilities and position in European and international affairs, supporting and establishing friendly relations with other European nations and a large number of 'developing' countries. In 1994, Poland became an associate member of the European Union (EU) and its defensive arm, the Western European Union (WEU), having submitted preliminary documentation for full membership in 1996, it formally joined the European Union in May 2004, along with the other members of the Visegrád group. In 1996, Poland achieved full OECD membership, and at the 1997 Madrid Summit was invited to join the North Atlantic Treaty Organisation (NATO) in the first wave of policy enlargement finally becoming a full member of NATO in March 1999. As changes since the fall of Communism in 1989 have redrawn the map of central Europe, Poland has tried to forge strong and mutually beneficial relationships with its seven new neighbours, this has notably included signing 'friendship treaties' to replace links severed by the collapse of the Warsaw Pact. The Poles have forged special relationships with Lithuania and particularly Ukraine, with whom they will co-host the UEFA Euro 2012 football tournament, in an effort to firmly anchor these countries within the Western world and provide them with an alternative to aligning themselves with the Russian Federation respectively. Despite many positive developments in the region, Poland has found itself in a position where it must seek to defend the rights of ethnic Poles living in the former Soviet Union; this is particularly true of Belarus, where in 2005 the Lukashenko regime launched a campaign against the Polish ethnic minority. Poland is the sixth most populous member state of the European Union and, ever since joining in 2004, has pursued policies to increase its role in European affairs. Poland has a grand total of 51 representatives in the European Parliament and in addition to this, since 14 July 2009, former Prime Minister of Poland Jerzy Buzek, has been President of the European Parliament. Poland's current voivodeships (provinces) are largely based on the country's historic regions, whereas those of the past two decades (to 1998) had been centred on and named for individual cities. The new units range in area from less than 10,000 square kilometres (3,900 sq mi) for Opole Voivodeship to more than 35,000 square kilometres (14,000 sq mi) for Masovian Voivodeship. Administrative authority at voivodeship level is shared between a government-appointed voivode (governor), an elected regional assembly (sejmik) and an executive elected by that assembly. The voivodeships are subdivided into powiats (often referred to in English as counties), and these are further divided into gminas (also known as communes or municipalities). Major cities normally have the status of both gmina and powiat. Poland currently has 16 voivodeships, 379 powiats (including 65 cities with powiat status), and 2,478 gminas. The Polish armed forces are composed of four branches: Land Forces (Wojska Lądowe), Navy (Marynarka Wojenna), Air Force (Siły Powietrzne) and Special Forces (Wojska Specjalne). The military is subordinate to the Minister for National Defence, however its sole commander in chief is the President of the Republic. The Polish army currently consists of 65,000 active personnel, whilst the navy and air force respectively employ 14,300 and 26,126 servicemen and women. The Polish Navy is one of the larger navies on the Baltic Sea and is mostly involved in Baltic operations such as search and rescue provision for the section of the Baltic under Polish command, as well as hydrographic measurements and research; recently however, the Polish Navy played a more international role as part of the 2003 invasion of Iraq, providing logistical support for the United States Navy. The current position of the Polish Air Force is much the same; it has routinely taken part in Baltic Air Policing assignments, but otherwise, with the exception of a number of units serving in Afghanistan, has seen no active combat since the end of the Second World War. In 2003, the F-16C Block 52 was chosen as the new general multi-role fighter for the air force, the first deliveries taking place in November 2006; it is expected (2010) that the Polish Air Force will create three squadrons of F-16s, which will all be fully operational by 2012. The most important mission of the armed forces is the defence of Polish territorial integrity and Polish interests abroad. Poland's national security goal is to further integrate with NATO and European defence, economic, and political institutions through the modernisation and reorganisation of its military. Currently the armed forces is being re-organised according to NATO standards, and as of 1 January 2010, the transition to an entirely contract-based military has been completed. Previously male citizens were expected to complete a period of active service with the military; since 2007 up until the amendment of the law on conscription, the obligatory term of service was nine months. Polish military doctrine reflects the same defensive nature as that of its NATO partners. From 1953 to 2009 Poland was a large contributor to various United Nations peacekeeping missions. The Polish Armed Forces took part in the 2003 invasion of Iraq, deploying 2,500 soldiers in the south of that country and commanding the 17-nation Multinational force in Iraq. The military was temporarily, but severely, affected by the loss of many of its top commanders in the wake the 2010 Polish Air Force Tu-154 crash near Smolensk, Russia, which killed all 96 passengers and crew, including, amongst others, the Chief of the Polish Army's General Staff Franciszek Gągor and Polish Air Force commanding general Andrzej Błasik. They were en route from Warsaw to attend an event to mark the 70th anniversary of the Katyn massacre, whose site is commemorated approximately 19 km west of Smolensk. Poland has a highly developed system of law enforcement with a long history of effective policing by the State Police Service. The structure of law enforcement agencies within Poland is a multi-tier one, with the State Police providing criminal-investigative services, Municipal Police serving to maintain public order and a number of other specialised agencies, such as the Polish Border Guard, acting to fulfil their assigned missions. In addition to these state services, private security companies are also common, although they possess no powers assigned to state agencies, such as, for example, the power to make an arrest or detain a suspect. Emergency services in Poland consist of the Emergency Medical Services, Search and Rescue units of the Polish Armed Forces and State Fire Service. Emergency medical services in Poland are, unlike other services, provided for by local and regional government. Since joining the European Union all of Poland's emergency services have been undergoing major restructuring and have, in the process, acquired large amounts of new equipment and staff. All emergency services personnel are now uniformed and can be easily recognised thanks to a number of innovative design features, such as reflective paint and printing, present throughout their service dress and vehicle liveries. In addition to this, in an effort to comply with EU standards and safety regulations, the police and other agencies have been steadily replacing and modernising their fleets of vehicles; this has left them with thousands of new automobiles, as well as many new aircraft, boats and helicopters. Poland's high-income economy is considered to be one of the healthiest of the post-Communist countries and is currently one of the fastest growing within the EU. Having a strong domestic market, low private debt, flexible currency, and not being dependent on a single export sector, Poland is the only European economy to have avoided the late-2000s recession. Since the fall of the communist government, Poland has steadfastly pursued a policy of liberalising the economy and today stands out as a successful example of the transition from a centrally planned economy to a primarily market-based economy. In 2009 Poland had the highest GDP growth in the EU. As of February 2012, the Polish economy has not entered a recession in the wake of the global financial crisis. The privatization of small and medium state-owned companies and a liberal law on establishing new firms have allowed the development of an aggressive private sector. As a consequence, consumer rights organizations have also appeared. Restructuring and privatisation of "sensitive sectors" such as coal, steel, rail transport and energy has been continuing since 1990. Between 2007 and 2010, the government plans to float twenty public companies on the Warsaw Stock Exchange, including parts of the coal industry. The biggest privatisations have been the sale of the national telecoms firm Telekomunikacja Polska to France Télécom in 2000, and an issue of 30% of the shares in Poland's largest bank, PKO Bank Polski, on the Polish stockmarket in 2004. 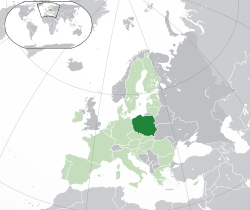 Poland is part of the Schengen Area and the EU single market, and it is among the countries obliged to join the Eurozone (green) (the Eurozone itself is blue). The Polish banking sector is the largest in central and eastern Europe as well being as the largest and the most highly developed sector of the country’s financial markets. It is regulated by the Polish Financial Supervision Authority. During the transformation to a market-oriented economy, the government privatized some banks, recapitalized the rest and introduced legal reforms that made the sector competitive. This has attracted a significant number of strategic foreign investors. Poland’s banking sector has approximately 5 domestic banks, a network of nearly 600 cooperative banks and 18 branches of foreign-owned banks. In addition, foreign investors have controlling stakes in nearly 40 commercial banks, which make up 68% of the banking capital. The economy had growth of 3.7% annually in 2003, a rise from 1.4% annually in 2002. In 2004, GDP growth equaled 5.4%, in 2005 3.3% and in 2006 6.2%. According to Eurostat data, Polish PPS GDP per capita stood at 61% of the EU average in 2009. Gdynia, situated at Gdańsk Bay on the south coast of the Baltic Sea, is an important seaport of Poland. Although the Polish economy is currently undergoing economic development, there are many challenges ahead. The most notable task on the horizon is the preparation of the economy (through continuing deep structural reforms) to allow Poland to meet the strict economic criteria for entry into the Eurozone. According to the Polish foreign minister Radosław Sikorski the country could join the eurozone before 2016. Some businesses may already accept the euro as payment. In addition, the ability to establish and conduct business easily has been cause for economic hardship as the World Economic Forum recently ranked Poland near the bottom of OECD countries in terms of the clarity, efficiency and neutrality of its legal framework for firm to settle disputes. A report concluded that on-going foreign business disputes issues may "have damaged Poland’s reputation as an attractive location for FDI" by reinforcing the impression of "Poland’s substandard reputation for maintaining an efficient and neutral framework to settle business disputes involving multinational foreign investors." Ernst & Young's 2010 European attractiveness survey reported that Poland saw a 52% decrease in FDI job creation and a 42% decrease in number of FDI projects since 2008. Average salaries in the enterprise sector in December 2010 were 3,848 PLN (1,012 euro or 1,374 US dollars) and growing sharply. Salaries vary between the regions: the median wage in the capital city Warsaw was 4,603 PLN (1,177 euro or 1,680 US dollars) while in Kielce it was only 3,083 PLN (788 euro or 1125 US dollars). Differences in salaries in various districts of Poland is even higher and range from 2,020 PLN (517 euro or 737 US dollars) in Kępno County, which is located in Greater Poland Voivodeship to 5,616 (1,436 euro or 2,050 US dollars) in Lubin County, which lies in Lower Silesian Voivodeship. According to a Credit Suisse report, Poles are the second wealthiest (after Czechs) of the Central European peoples. This makes Poland an attractive destination for many guest workers particularly from Ukraine, Belarus, Russia and Vietnam. Even though Poland is rather an ethnically homogeneous country, the number of foreigners is growing every year. Since the United Kingdom, Ireland and some other European countries opened their job markets for Poles, many workers, especially from rural regions, have left the country to seek a better wages abroad. However, there is a rapid growth of the salaries, booming economy, strong value of Polish currency, and quickly decreasing unemployment (from 14.2% in May 2006 to 6.7% in August 2008). Commodities produced in Poland include: electronics, cars (Arrinera, Leopard), buses (Autosan, Solaris, Solbus), helicopters (PZL Świdnik), transport equipment, locomotives, planes (PZL Mielec), ships, military engineering (including tanks, SPAAG systems), medicines (Polpharma, Polfa), food, clothes, glass, pottery (Bolesławiec), chemical products and others. Poland is recognised as a regional economic power within Central Europe, possessing nearly 40 percent of the 500 biggest companies in the region (by revenues). Poland was the only member of the EU to avoid the recession of the late 2000s, a testament to the Polish economy's stability. The country's most competitive firms are components of the WIG20 which is traded on the Warsaw Stock Exchange. Well known Polish brands include, amongst others, PKO BP, PKN Orlen, PGE, PZU, PGNiG, Tauron Group, Lotos Group, KGHM Polska Miedź, Telekomunikacja Polska, Plus, Play, PLL LOT, Poczta Polska, PKP, Biedronka, BRE Bank, Getin Holding and TVP. Poland is recognised as having an economy with significant development potential, overtaking the Netherlands in mid-2010 to become Europe's sixth largest economy. Foreign Direct Investment in Poland has remained strong ever since the country's re-democratisation following the Round Table Agreement in 1989. Despite this, problems do exist, and further progress in achieving success depends largely on the government's privatisation of Poland's remaining state industries and continuing development and modernisation of the economy. Poland is a major part of the global tourism market and is currently experiencing an upward trend in its number of visitors; this began shortly after joining the European Union. Tourism in Poland contributes to the country's overall economy and makes up a relatively large proportion of the country's service market. The most attractive urban destinations for tourists are Kraków, Wrocław, Gdańsk, Warsaw, Poznań, Lublin and Toruń; in addition to these the historic site of the Auschwitz German concentration camp near Oświęcim is a noteworthy place of pilgrimage and a now constitutes a major monument to the prevention of war and suffering in Southern Poland. Popular areas of natural beauty include north Poland's Baltic Sea coast, Masurian Lake District and Białowieża Forest, in southern Karkonosze, Table Mountains, Tatra Mountains and Bieszczady Mountains. Poland's main tourist offerings are thought to be based around city-sightseeing and extra-urban historical monuments, business trips, qualified tourism, agrotourism, mountain hiking and climbing among others. Poland was the 17th most visited country by foreign tourists in 2008. The electricity generation sector in Poland is still largely fossil-fuel based. Many power plants nationwide use Poland's position as a major European exporter of coal to their advantage by continuing to use coal as the primary raw material in production of their energy; in 2007, hard bituminous coal contributed 48% of energy generation, brown coal and gas 12% each and oil 23%. Currently the three largest Polish coal mining firms (Weglokoks, Kompania Węglowa and JSW) extract around 100 million tonnes of coal annually; all three of these companies are key constituents of the Warsaw Stock Exchange's lead economic indexes. Renewable forms of energy currently only account for a small proportion of Poland's full energy generation capacity. However, the national government has set targets for the development of renewable energy sources in Poland which should see the portion of power produced by renewable resources climb to 7.5% by 2010 and 15% by 2020. This is to be achieved mainly through the construction of wind farms and a number of hydroelectric stations. Poland is thought to have around 164,800,000,000 m³ of proven natural gas reserves and around 96,380,000 barrels of proven oil reserves. These reserves are currently attended to and exploited by energy supply companies such as PKN Orlen (the only Polish company listed in the Fortune Global 500). However, due to the small amounts of fossil fuels naturally occurring in Poland not being enough to satisfy the full energy consumption needs of the population and thus need to buy from abroad, the country is considered to be a net importer of oil and natural gas. A LOT Boeing 767 on stand at Warsaw's Chopin Airport. Today transport in Poland is provided by means of rail, road, shipping and air travel. Positioned in Central Europe and with an eastern border compromising the largest external border of the Schengen Area with the rest of East-Central Europe, Poland has long been, and remains a key country through which imports to and exports from the European Union pass. Since joining the EU in 2004, Poland has invested large amounts of money into the modernisation of its transport networks. The country now has a developing expressways network composed of motorways such as the A4 and express roads such as the S7. In addition to these newly built roads, many local and regional roads are being rebuilt as part of a national programme to rebuild all roads in Poland. Again, with regard to railways, much the same situation is taking place. The Polish authorities have begun a program by which they hope to increase operating speeds across the entire Polish rail network; this is particularly true of a number of national trunk routes which are expected to soon receive new rolling stock capable of speeds over 200 km/h. Finally, there is a plan to introduce high speed rail to Poland from around 2014. The Polish government recently revealed that it intends to connect all major cities to a future high-speed rail network by 2020. Most intercity rail operations in Poland are operated by PKP Intercity whilst regional trains are run by a number of operators, the largest of which is Przewozy Regionalne. The air and maritime transport markets in Poland are largely well developed. Poland has a number of international airports; the largest of which is Warsaw Chopin Airport, the primary global hub for LOT Polish Airlines, which is the largest airline of Central and Eastern Europe and one of the world's oldest airlines still in operation today. Seaports exist all along Poland's Baltic coast, with most freight operations using either Gdynia or Gdańsk as their base. Passenger ferries link Poland with Scandinavia all year round; these services are provided from Gdańsk by Polferries, Stena Line from Gdynia and Unity Line from the Port of Świnoujście. Curie established the first Radium Institute in Poland. According to Frost & Sullivan's Country Industry Forecast the country is becoming an interesting location for research and development investments. Multinational companies such as: ABB, Delphi, GlaxoSmithKline, Google, Hewlett–Packard, IBM, Intel, LG Electronics, Microsoft, Motorola, Siemens and Samsung have set up research and development centres in Poland. Over 40 research and development centers and 4,500 researchers make Poland the biggest research and development hub in Central and Eastern Europe. Companies chose Poland because of the availability of highly qualified labour force, presence of universities, support of authorities, and the largest market in Central Europe. Today Poland's tertiary education institutions; traditional universities (found in its major cities), as well as technical, medical, and economic institutions, employ around 61,000 researchers and members of staff. There are around 300 research and development institutes, with about 10,000 researchers. In total, there are around 91,000 scientists in Poland today. However, in the 19th and 20th centuries many Polish scientists worked abroad; one of the greatest of these exiles was Maria Skłodowska-Curie, a physicist and chemist who lived much of her life in France. In the first half of the 20th century, Poland was a flourishing centre of mathematics. Outstanding Polish mathematicians formed the Lwów School of Mathematics (with Stefan Banach, Hugo Steinhaus, Stanisław Ulam) and Warsaw School of Mathematics (with Alfred Tarski, Kazimierz Kuratowski, Wacław Sierpiński). The events of World War II pushed many of them into exile. Such was the case of Benoît Mandelbrot, whose family left Poland when he was still a child. An alumnus of the Warsaw School of Mathematics was Antoni Zygmund, one of the shapers of 20th-century mathematical analysis. According to a KPMG report 80% of Poland's current investors are content with their choice and willing to reinvest. In 2006, Intel decided to double the number of employees in its research and development centre in Gdańsk. The share of the telecom sector in the GDP is 4.4% (end of 2000 figure), compared to 2.5% in 1996. Nevertheless, despite high expenditures for telecom infrastructure (the coverage increased from 78 users per 1,000 inhabitants in 1989 to 282 in 2000). The value of the telecommunication market is zl 38.2bn (2006), and it grew by 12.4% in 2007 PMR. The coverage mobile cellular is over 1000 users per 1000 people (2007). Telephones—mobile cellular: 38.7 million (Onet.pl & GUS Report, 2007), telephones—main lines in use: 12.5 million (Telecom Team Report, 2005). With regard to internet access, the most popular ADSL services for home users in Poland are Neostrada provided by TPSA, and Net24 provided by Netia. Business users as well as some home users use Internet DSL TP also offered by TPSA. According to Eurostat, OECD and others, Internet access in Poland is amidst the most expensive in Europe. This is mostly caused by the lack of competitiveness. New operators, such as Dialog and GTS Energis are making their own provider lines and offer more attractive and cheaper service. Recently, the Polish Office of Electronical Communication passed a bill forcing the TPSA to rent 51% of their ADSL lines to other ISPs for 60% lower prices. This move will definitely affect the prices of DSL in Poland. The public postal service in Poland is operated by Poczta Polska (The Polish Post). It was created on October 18, 1558, when king Zygmunt August established a permanent postal route from Kraków to Venice (later also to Wilno) in order to manage affairs in Italy that arose after the death of Queen Bona, his mother. Since then the service was dissolved on a number of occasions, most notably during the partitions of Poland. After regaining independence in 1918, the united territory of Poland was in need of a uniform network of communication. Thus, the interwar period saw the rapid development of the postal system as new services were introduced (e.g. money transfers, payment of pensions, delivery of magazines, air mail). Although during national uprisings and in the course of wars communication was provided mainly through field post, which was subject to military authority, postmen always took active part in the fight for independence by secretly delivering parcels and documents, or by providing vital information about the enemy. Many important events in the history of Poland involved the postal service, like the heroic Defence of the Polish Post Office in Gdańsk in 1939 and the participation of the Polish Scouts' Postal Service in the Warsaw Uprising. During the difficult times of the Second World War, the Polish Post in exile would lift up the spirits of compatriots by issuing postage stamps. Nowadays the service is a modern, functioning state-owned company which provides a number of standard and express delivery options, as well as operating the Polish postal home-delivery service. The postal service is currently expanding into the provision of logistical services. Poland, with 38,116,000 inhabitants, has the eighth-largest population in Europe and the sixth-largest in the European Union. It has a population density of 122 inhabitants per square kilometer (328 per square mile). Long Market in Gdańsk filled with picturesque Dutch style tenements is a favourite meeting place in the Kashubian capital. Poland historically contained many languages, cultures and religions on its soil. The country had a particularly large Jewish population prior to World War II, when the Nazi Germany's regime led to The Holocaust. It caused Poland's Jewish population, estimated at 3 million before the war, to drop to just 300,000. The outcome of the war, particularly the shift of Poland's borders to the area between the Curzon Line and the Oder-Neisse line, coupled with post-war expulsion of minorities, significantly reduced the country's ethnic diversity. Over 7 million Germans fled or were expelled from the Polish side of the Oder-Neisse boundary. According to the 2002 census, 36,983,700 people, or 96.74% of the population, consider themselves Polish, while 471,500 (1.23%) declared another nationality, and 774,900 (2.03%) did not declare any nationality. The largest minority nationalities and ethnic groups in Poland are Silesians (173,153 according to the census), Germans (152,897 according to the census, 92% in Opole Voivodeship and Silesian Voivodeship), Belarusians (c. 49,000), Ukrainians (c. 30,000), Lithuanians, Russians, Roma, Jews, Lemkos, Slovaks, Czechs, and Lipka Tatars. Among foreign citizens, the Vietnamese are the largest ethnic group, followed by Greeks and Armenians. The Polish language, part of the West Slavic branch of the Slavic languages, functions as the official language of Poland. Until recent decades Russian was commonly learned as a second language but has been replaced by English and German as the most common second languages studied and spoken. In recent years, Poland's population has decreased because of an increase in emigration and a sharp drop in the birth rate. Since Poland's accession to the European Union, a significant number of Poles have emigrated, primarily to the United Kingdom, Germany and Ireland in search of work and better work opportunities abroad. In April 2007, the Polish population of the United Kingdom had risen to approximately 300,000, and estimates place the Polish population in Ireland at 65,000. Some sources claim that the number of Polish citizens who emigrated to the UK after 2004 is as high as 2 million. This, however, is contrasted by a recent trend that shows that more Poles are entering the country than leaving it. Polish minorities are still present in the neighboring countries of Ukraine, Belarus, and Lithuania, as well as in other countries (see Poles for population numbers). Altogether, the number of ethnic Poles living abroad is estimated to be around 20 million. The largest number of Poles outside of Poland can be found in the United States. Until World War II, Poland was a religiously diverse society, in which substantial Jewish, Protestant and Christian Orthodox minorities coexisted with a Roman Catholic majority. As a result of the Holocaust and the post–World War II flight and expulsion of German and Ukrainian populations, Poland has become overwhelmingly Roman Catholic. In 2007, 88.4% of the population belonged to the Catholic Church. Though rates of religious observance are lower, at 52% to 60%, Poland remains one of the most devoutly religious countries in Europe. From 16 October 1978 until his death on 2 April 2005 Karol Józef Wojtyła (later Pope John Paul II), a natural born Pole, reigned as Supreme Pontiff of the Roman Catholic Church and Sovereign of Vatican City. His was the second-longest documented pontificate; only Pope Pius IX served longer. He has been the only Slavic and Polish Pope to date, and was the first non-Italian Pope since Dutch Pope Adrian VI in 1522. Additionally he is credited with having played a significant role in hastening the downfall of communism in Poland and throughout Central and Eastern Europe; he is famously quoted as having, at the height of communism in 1979, told Poles "not be afraid", later praying: "Let your Spirit descend and change the image of the land... this land". He is a deeply revered figure within Polish society, and his passing in 2005 was met with large-scale outpourings of national grief. Kraków's Tempel Synagogue is one of the largest in Poland still functioning today. Religious minorities include Polish Orthodox (about 506,800), various Protestants (about 150,000), Jehovah's Witnesses (126,827), Eastern Catholics, Mariavites, Polish Catholics, Jews, and Muslims (including the Tatars of Białystok). Members of Protestant churches include about 77,500 in the largest Evangelical-Augsburg Church, and a similar number in smaller Pentecostal and Evangelical churches. Freedom of religion is now guaranteed by the 1989 statute of the Polish Constitution, enabling the emergence of additional denominations. However, because of pressure from the Polish Episcopate, the exposition of doctrine has entered the public education system as well. According to a 2007 survey, 72% of respondents were not opposed to religious instruction in public schools; alternative courses in ethics are available only in one percent of the entire public educational system. Famous sites of Christian pilgrimage in Poland include the Monastery of Jasna Góra in the southern Polish city of Częstochowa, as well as the Family home of John Paul II in Wadowice just outside of Kraków. The Polish health-care industry is currently undergoing a major transformation, with many hospitals being listed as top priorities for refurbishment. As a result of this process, many hospitals have already been thoroughly modernised throughout and are now equipped with the latest in medical hardware. The overall quality of healthcare provision nationwide, as judged by European standards, is generally regarded as being very high. This is reflected in the nation's average life expectancy, which at 71 for males and 80 for females, has shown a marked increase from 63/68 in 2003, and now corresponds with the average figures for life expectancy in the European Union. The education of Polish society was a goal of rulers as early as the 12th century, and Poland soon became one of the most educated countries in Europe. The library catalogue of the Cathedral Chapter of Kraków dating back to 1110 shows that in the early 12th century Polish intellectuals had access to European literature. The Jagiellonian University, founded in 1364 by King Casimir III in Kraków, is one of Europe's oldest universities. In 1773 King Stanisław August Poniatowski established the Commission of National Education (Komisja Edukacji Narodowej), the world's first state ministry of education. The first university in Poland, Kraków's Jagiellonian University, was established in 1364 by Casimir III the Great in Kraków. It is the oldest university in Poland. It is the second oldest university in Central Europe and one of the oldest universities in the world. Casimir III realized that the nation needed a class of educated people, especially lawyers, who could codify the country's laws and administer the courts and offices. His efforts to found an institution of higher learning in Poland were finally rewarded when Pope Urban V granted him permission to open the University of Krakow. Since changes made in 2009 education in Poland starts at the age of five or six for the 0 class (Kindergarten) and six or seven years in the 1st class of primary school (Polish szkoła podstawowa). It is compulsory that children do one year of formal education before entering 1st class at no later than 7 years of age. At the end of 6th class when the students are 13, they take a compulsory exam that will determine to which lower secondary school (gimnazjum, pronounced gheem-nah-sium) (Middle School/Junior High) they will be accepted. They will attend this school for three years for classes, 7, 8, and 9. They then take another compulsory exam to determine the upper secondary level school they will attend. There are several alternatives, the most common being the three years in a liceum or four years in a technikum. Both end with a maturity examination (matura, quite similar to French baccalauréat), and may be followed by several forms of upper education, leading to licencjat or inżynier (the Polish Bologna Process first cycle qualification), magister (second cycle qualification) and eventually doktor (third cycle qualification). The University of Wrocław at night. There are currently 18 fully accredited traditional universities in Poland, these are then further supplemented by 20 technical universities, nine independent medical universities and five universities for the study of economics. In addition to these institutions there are then nine agricultural academies, three pedagogical universities, a theological academy and three maritime service universities. Poland's long history of promoting the arts has led to the establishment of a number of higher educational institutes dedicated to the teaching of the arts. Amongst these are the seven higher state academies of music. All of these institutions are further supplemented by a large number of private educational institutions and the four national military academies (two for the army and one for each of the other branches of service), bringing the total number of organisations for the pursuit of higher education to well over 500, one of the largest numbers in Europe. The Programme for International Student Assessment, coordinated by the OECD, currently ranks Poland's educational system as the 23rd best in the world, being neither significantly higher nor lower than the OECD average. The culture of Poland is closely connected with its intricate 1000 year history Its unique character developed as a result of its geography at the confluence of European cultures. With origins in the culture of the Proto-Slavs, over time Polish culture has been profoundly influenced by its interweaving ties with the Germanic, Latinate and Byzantine worlds as well as in continual dialog with the many other ethnic groups and minorities living in Poland. The people of Poland have traditionally been seen as hospitable to artists from abroad and eager to follow cultural and artistic trends popular in other countries. In the 19th and 20th centuries the Polish focus on cultural advancement often took precedence over political and economic activity. These factors have contributed to the versatile nature of Polish art, with all its complex nuances. Poland is the birthplace of many distinguished personalities (see. List of Polish people), among which are: Mikołaj Kopernik, Fryderyk Chopin, Maria Skłodowska Curie, Tadeusz Kościuszko, Kazimierz Pułaski, Józef Piłsudski and Pope John Paul II. Great Polish painter Jan Matejko devoted his monumental art to the most significant historical events on Polish lands, along with the playwright, painter and poet Stanisław Wyspiański. Stanisław Ignacy Witkiewicz (Witkacy) was an example of a Polish avant-garde philosopher and author of aesthetic theories. Polish literature dates back to the 12th century and includes many famous poets and writers such as Jan Kochanowski, Adam Mickiewicz, Bolesław Prus, Juliusz Słowacki, Witold Gombrowicz, Stanisław Lem and, Ryszard Kapuściński. Writers Henryk Sienkiewicz, Władysław Reymont, Czesław Miłosz, Wisława Szymborska have each won the Nobel Prize in Literature. Also a renowned Polish novelist, who wrote in the English language, was Joseph Conrad. Many world famous Polish movie directors include Academy Awards winners Roman Polański, Andrzej Wajda, Zbigniew Rybczyński, Janusz Kamiński, Krzysztof Kieślowski, Agnieszka Holland. World renowned actresses were Helena Modjeska and Pola Negri. Poles have outstanding achievements in mountaineering in the Himalayas, especially in the winter gathering Eight-thousander. The most famous Polish climbers are Jerzy Kukuczka, Krzysztof Wielicki, Piotr Pustelnik, Andrzej Zawada and Wanda Rutkiewicz. Poland has a great, long standing tradition of tolerance towards minorities, as well as absence of discrimination on the grounds of religion, nationality or race. This is for historical reasons and that is ethnic minorities in Poland are very few. It has a high level of gender equality, promotes disability rights movement and promotes equality. Poland is the first country in the world where corporal punishment was prohibited. Poland has, throughout most of its long history, experienced only very limited immigration from abroad; this trend can largely be attributed to Poland's lack of slavery and overseas colonies as well as its lack of existence as a state during much of the 19th and early 20th centuries. Despite this, the country has for a long time been regarded as having a very tolerant society, which affords equal rights to all people no matter what their ethnic background. This can be said to stem largely from the reign of King Casimir III the Great and his acceptance for Poland's Jewish community, in a time when the most of Europe recessed antisemitic mood. The history of Jews in Poland shows peaceful co-existence of a nation and particular ethnic group. As many as 96.7% of Polish citizens declare to be Poles, and 97.8% declare that they speak Polish at home (Census 2002). The population of Poland became one of the most ethnically homogeneous in the world as a result of the radically altered borders after World War II and the subsequent migrations. This homogeneity is a result of post World War II deportations ordered by the Soviet authorities, who wished to remove the sizeable Polish minorities from Lithuania, Belarus and Ukraine and repatriation of Ukrainians from Poland to the Soviet Union (see territorial changes of Poland and historical demography of Poland for details). Unlike in many other countries, the ethnic minority rights in Poland are guaranteed directly in the Constitution of Poland (art. 35), and today there are, amongst others, sizeable German, Ukrainian and Belarusian minorities present in the country. After the formal collapse of Communism in 1989, Poland greatly improved its image in the world and thus has received further support from the country's recent economic success and effective entry into the structures of the European Union. Polish citizens have obtained a good reputation as workers in the united Europe, mainly due to the broad range of jobs beyond the borders of their state, since 2004. The results of an Organization for Security and Co-operation in Europe (OSCE) survey from 2004 showed that Poles work the second most hours per week of any nationality worldwide. Poland remains one of the most peaceful countries in the world. Artists from Poland, including famous composers like Chopin or Penderecki and traditional, regionalized folk musicians, create a lively and diverse music scene, which even recognizes its own music genres, such as poezja śpiewana and disco polo. As of 2006, Poland is one of the few countries in Europe where rock and hip hop dominate over pop music, while all kinds of alternative music genres are encouraged. The origins of Polish music can be traced as far back as the 13th century; manuscripts have been found in Stary Sącz, containing polyphonic compositions related to the Parisian Notre Dame School. Other early compositions, such as the melody of Bogurodzica and Bóg się rodzi (a coronation polonaise for Polish kings by an unknown composer), may also date back to this period, however, the first known notable composer, Mikołaj z Radomia, was born and lived in the 15th century. During the 16th century, two main musical groups – both based in Kraków and belonging to the King and Archbishop of the Wawel – led to the rapid development of Polish music. Composers writing during this period include Wacław z Szamotuł, Mikołaj Zieleński, and Mikołaj Gomółka. Diomedes Cato, a native-born Italian who lived in Kraków from about the age of five, became one of the most famous lutenists at the court of Sigismund III, and not only imported some of the musical styles from southern Europe, but blended them with native folk music. At the end of the 18th century, Polish classical music evolved into national forms like the polonaise. In the 19th century the most popular composers were: Józef Elsner and his pupils Fryderyk Chopin and Ignacy Dobrzyński. Important opera composers of the era were Karol Kurpiński and Stanisław Moniuszko whilst the list of famous soloists and composers included Henryk Wieniawski, Juliusz Zarębski. At the turn of the 19th and 20th centuries the most promiment composers could said to have been Władysław Zeleński and Mieczysław Karłowicz, with Karol Szymanowski gaining prominence prior to World War II. Alexandre Tansman lived in Paris but had strong connections with Poland. Witold Lutosławski, Henryk Górecki, and Krzysztof Penderecki composed in Poland, Andrzej Panufnik emigrated. Traditional Polish folk music has had a major effect on the works of many well-known Polish composers, and no more so than on Fryderyk Chopin, a widely recognised national hero of the arts. 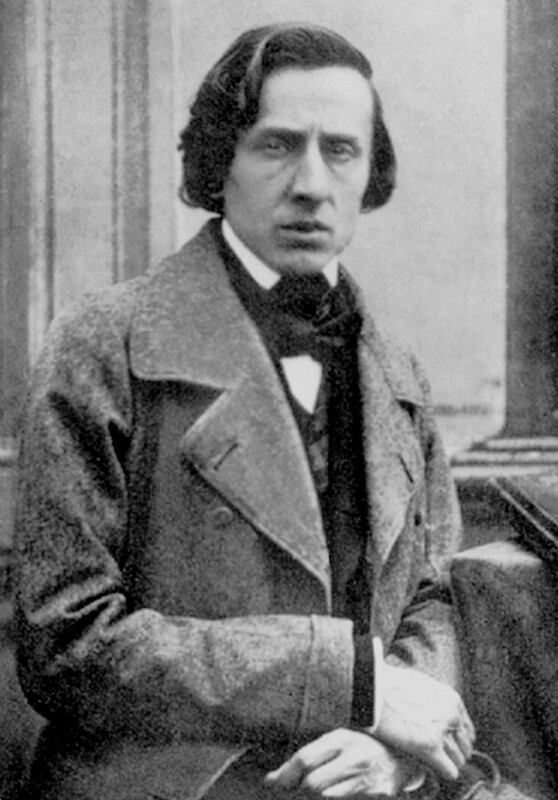 All of Chopin's works involve the piano and are technically demanding, emphasising nuance and expressive depth. As a great composer, Chopin invented the musical form known as the instrumental ballade and made major innovations to the piano sonata, mazurka, waltz, nocturne, polonaise, étude, impromptu and prélude, he was also the composer of a number of polonaises which borrowed heavily from traditional Polish folk music. It is largely thanks to him that the such pieces gained great popularity throughout Europe during the 19th century. Nowadays the most distinctive folk music can be heard in the towns and villages of the mountainous south, particularly in the region surrounding the winter resort town of Zakopane. Today Poland has a very active music scene, with the jazz and metal genres being particularly popular amongst the contemporary populace. Polish jazz musicians such as Krzysztof Komeda, created a unique style, which was most famous in 1960s and 1970s and continues to be popular to this day. Since the fall of Communism, Poland has become a major venue for large-scale music festivals, chief among which are the Open'er Festival, Opole Festival and Sopot Festival. The polonaise is a slow dance in 3/4 time. The mazurka is a stylized folk dance in triple meter. Poland has instituted freedom of press since the fall of communism, a system under which the media was heavily politically controlled and censored. However, public TV and radio are still regulated by the government, this is exercised through an agency called Krajowa Rada Radiofonii i Telewizji (The National Radio and Television Committee), which is similar to television regulatory commissions in other developed nations. Poland has a number of major media outlets, chief amongst which are the national television channels. TVP is Poland's public broadcasting corporation; about a third of its income comes from a broadcast receiver licence, while the rest is made through revenue from commercials and sponsorships. State television operates two mainstream channels, TVP 1 and TVP 2, as well as regional programs (TVP Info) for each of the country's 16 voivodeships. In addition to these general channels, TVP runs a number of genre-specific programmes such as TVP Sport, TVP Historia, TVP Kultura and TVP Seriale; there are currently plans to run channels dedicated to the coverage of political affairs (TVP Parlament) and entertainment (TVP Rozrywka). Poland has a number of internationally broadcast and 24 hour news channels, chief amongst which are Polsat News, TVN 24, and TV Polonia, the latter is a state-run channel dedicated to the transmission of Polish language television for the Polish diaspora abroad. There are a number of major private television outlets such as Polsat and the TVN network. Poland has a highly developed printed news industry, with daily newspapers like Gazeta Wyborcza (The Electoral Gazette), Rzeczpospolita (The Republic) and Gazeta Polska Codziennie providing more traditional, intellectually stimulating reporting and tabloids such as Fakt providing more sensationalist writing which is less current affairs orientated. Rzeczpospolita is one of the nation's oldest publications still in operation today, founded in 1920, it has become a stalwart bastion of Polish reporting and in 2006 won a prestigious award for being, along with the Guardian (a British daily), the best designed newspaper in the world. Major media outlets are experiencing an ongoing restructuring which is seeing many of them amalgamated into major media groups; a prime example of which is the German Axel Springer AG Publishing conglomerate's purchase of Fakt. International cooperation is also a growing trend within Polish media; TVP recently began cooperating with the French-German TV network ARTE. Polish literature has a long and complicated history. During the Middle Ages most Polish authors and academics (Jan Długosz) wrote only in Latin, as at the time, this was the 'academic' language which linked Europe together; Jan Kochanowski broke this trend and became the first author to write the majority of his works in the Polish language. A number of Polish authors have won great renown in the past few centuries, however, this largely stems from the initial success of the works of Adam Mickiewicz, who wrote the first Polish epic, Pan Tadeusz, in 1834. Influential authors of the late 19th and 20th centuries include Henryk Sienkiewicz, Władysław Reymont, Witold Gombrowicz and Czesław Miłosz. To date four Polish authors have won the Nobel Prize in Literature, with Władysław Reymont being one of only nine writers to receive the prestigious award for one particular, outstanding literary work (awarded for the great national epic, 'The Peasants' in 1924) rather than their career as a whole. Ferdynand Antoni Ossendowski was an internationally popular writer. With regard to poetry, Poland has a long and distinguished history of producing world-class poets. Chief among these are the 'three bards' (trzej wieszcze), Mickiewicz, Krasiński and Słowacki; the three national poets of Polish Romantic literature. Incidentally, the Polish word Wieszcz means 'prophet' or 'soothsayer', a fitting reference for the three, as the bards were thought to not only voice Polish national sentiments but to frequently foresee the nation's future. Today the traditions of Polish literature and poetry are being carried forward by a new generation of writers. Included within this group is Wisława Szymborska, a best-selling author and recipient of the 1996 Nobel Prize in Literature. Polish cities and towns reflect the whole spectrum of European styles. Romanesque architecture is represented by St. Andrew's Church in Kraków, and characteristic for Poland Brick Gothic by St. Mary's Church in Gdańsk. Richly decorated attics and arcade loggias are the common elements of the Polish Renaissance architecture, like in City Hall in Poznań. For some time the late renaissance, so called mannerism, most notably in Bishop’s Palace in Kielce, coexisted with the early baroque like in Church of SS. Peter and Paul in Kraków. History has not been kind to Poland's architectural monuments. Nonetheless, a number of ancient structures had survived: castles, churches, and stately buildings, often unique in the regional or European context. Some of them have been painstakingly restored, like Wawel Castle, or completely reconstructed after being destroyed in the Second World War, including the Old Town and Royal Castle in Warsaw and the Old Town of Gdańsk. The architecture of Gdańsk is mostly of the Hanseatic variety, a Gothic style common amongst the former trading cities along the Baltic sea and in the northern part of Central Europe. The architectural style of Wrocław is mainly representative of German architecture, since it was for centuries located within the German states. The centre of Kazimierz Dolny on the Vistula is a good example of a well-preserved medieval town. Poland's ancient capital, Kraków, ranks among the best-preserved Gothic and Renaissance urban complexes in Europe. Meanwhile, the legacy of the Kresy Marchlands of Poland's eastern regions, where Wilno and Lwów (now Vilnius and Lviv) were recognised as two major centres for the arts, played a special role in the development of Polish architecture, with Catholic church architecture deserving special note. The second half of the 17th century is marked by baroque architecture. Side towers, visible in Branicki Palace in Białystok are typical for Polish baroque. The classical Silesian baroque is represented by the University in Wrocław. Profuse decorations of Branicki Palace in Warsaw are characteristic of rococo style. The centre of Polish classicism was Warsaw under the rule of the last Polish king Stanisław August Poniatowski. The Palace on the Water is the most notable example of Polish neoclassical architecture. Lublin Castle represents the Gothic Revival style in architecture, while the Izrael Poznański Palace in Łódź is an example of eclecticism. Kotlet schabowy served with potatoes. Polish cuisine has influenced the cuisines of its surrounding countries. For centuries the Polish kitchen has been the arena for competing with France and Italy. It is rich in meat, especially pork, chicken and beef, winter vegetables (cabbage in the dish bigos) and spices. Pasta is also featured in many Polish dishes, most notably are pierogi. Polish national cuisine shares some similarities with other European traditions. Generally speaking, Polish cuisine is hearty. The preparation of traditional cuisine generally is time intensive and Poles allow themselves a generous amount of time to prepare and enjoy their festive meals, with some meals (like Christmas Eve or Easter breakfast) taking a number of days to prepare in their entirety. It is worth noting that most regions of Poland have their own local gastronomic traditions and distinctive flavours. Notable foods in Polish cuisine include: soups – rosół, barszcz, żurek, krupnik, kapuśniak, zupa pomidorowa, zupa ogórkowa, zupa grzybowa, flaczki (tripe soup); pierogi, kiełbasa, gołąbki, oscypek, kotlet schabowy, kotlet mielony, bigos, various potato dishes, kanapka, zapiekanka, and many more. Traditional Polish desserts include pączki, faworki, gingerbread, babka and others. Characteristic dishes are soured milk, buttermilk, kefir, gherkin, pickled cucumber, sauerkraut. Many sports are popular in Poland. Football (soccer) is the country's most popular sport, with a rich history of international competition. Track and field, basketball, boxing, ski jumping, fencing, handball, ice hockey, swimming, volleyball, and weightlifting are other popular sports. The golden era of football in Poland occurred throughout the 1970s and went on until the early 1980s when the Polish national football team achieved their best results in any FIFA World Cup competitions finishing 3rd place in the 1974 and 1982 editions. The team won a gold medal in football at the 1972 Summer Olympics and also won two silver medals in 1976 and 1992. Poland, along with Ukraine, hosted the UEFA European Football Championship in 2012. The Polish men's national volleyball team is ranked 5th in the world and the women's volleyball team is ranked 10th. Mariusz Pudzianowski is a highly successful strongman competitor and has won more World's Strongest Man titles than any other competitor in the world, winning the event in 2008 for the fifth time. The first Polish Formula One driver, Robert Kubica, has brought awareness of Formula One Racing to Poland. Poland has made a distinctive mark in motorcycle speedway racing thanks to Tomasz Gollob, a highly successful Polish rider. The national speedway team of Poland is one of the major teams in international speedway and is very successful in various competitions. The Polish mountains are an ideal venue for hiking, skiing and mountain biking and attract millions of tourists every year from all over the world. Baltic beaches and resorts are popular locations for fishing, canoeing, kayaking and a broad-range of other water-themed sports. The following are links to international rankings of Poland. a ^ Numerous sources state that Polish Army was the Allies' fourth biggest fighting contingent. Steven J. Zaloga and Richard Hook write that "by the war's end the Polish Army was the fourth largest contingent of the Allied coalition after the armed forces of the Soviet Union, the United States and the United Kingdom." Jerzy Jan Lerski writes "All in all, the Polish units, although divided and controlled by different political orientation, constituted the fourth largest Allied force, after the America, British and Soviet Armies." M. K. Dziewanowski has noted that "if Polish forces fighting in the east and west were added to the resistance fighters, Poland had the fourth largest Allied army in the war (after the USSR, the U.S. and Britain)". The claim of the fourth biggest Ally needs to be reconsidered, however. Throughout the war, Poland's position varied from the 2nd biggest Ally (after the fall of France, when Polish army outnumbered the French) to perhaps the 5th at the end of it (after the USA, Soviet Union, China and Britain). Please, see the analysis in Polish contribution to World War II. b ^ Sources vary with regards to what was the largest resistance movement during World War II. The confusion often stems from the fact that as war progressed, some resistance movements grew larger – and other diminished. Polish territories were mostly freed from Nazi German control in the years 1944–1945, eliminating the need for their respective (anti-Nazi) partisan forces (in Poland (although the cursed soldiers continued to fight against the Soviets). Several sources note that Polish Armia Krajowa was the largest resistance movement in Nazi-occupied Europe. Norman Davies wrote: "Armia Krajowa (Home Army), the AK, which could fairly claim to be the largest of European resistance"; Gregor Dallas wrote "Home Army (Armia Krajowa or AK) in late 1943 numbered around 400000, making it the largest resistance organization in Europe"; Mark Wyman wrote "Armia Krajowa was considered the largest underground resistance unit in wartime Europe". Certainly, Polish resistance was the largest resistance till German invasion of Yugoslavia and invasion of the Soviet Union in 1941. After that point, the numbers of Soviet partisans and Yugoslav partisans begun growing rapidly. The numbers of Soviet partisans quickly caught up and were very similar to that of the Polish resistance. The numbers of Tito's Yugoslav partisans were roughly similar to those of the Polish and Soviet partisans in the first years of the war (1941–1942), but grew rapidly in the latter years, outnumbering the Polish and Soviet partisans by 2:1 or more (estimates give Yugoslavian forces about 800,000 in 1945, to Polish and Soviet forces of 400,000 in 1944). ^ Central Statistical Office – Page 18. "Wyniki Narodowego Spisu Powszechnego Ludności i Mieszkań 2011 Podstawowe informacje o sytuacji demograficzno-społecznej ludności Polski oraz zasobach mieszkaniowych". http://www.stat.gov.pl/cps/rde/xbcr/gus/PUBL_lu_nps2011_wyniki_nsp2011_22032012.pdf. ^ "GUS – Population as of 30.06.2010". Stat.gov.pl. http://www.stat.gov.pl/gus/5840_655_ENG_HTML.htm. Retrieved 2011-05-26. ^ a b c d "Poland". International Monetary Fund. http://www.imf.org/external/pubs/ft/weo/2012/01/weodata/weorept.aspx?pr.x=25&pr.y=3&sy=2009&ey=2012&scsm=1&ssd=1&sort=country&ds=.&br=1&c=964&s=NGDPD%2CNGDPDPC%2CPPPGDP%2CPPPPC%2CLP&grp=0&a=. Retrieved 2012-04-20. ^ "Table 1 – Human Development Index and its components". Human Development Index 2010. Human Development Reports. http://hdr.undp.org/en/media/HDR_2010_EN_Table1.pdf. Retrieved 4 November 2010. ^ a b c d e f g h "Concise Statistical Yearbook of Poland, 2008" (PDF). Central Statistical Office (Poland). 28 July 2008. http://www.stat.gov.pl/cps/rde/xbcr/gus/PUBL_maly_rocznik_statystyczny_2008.pdf. Retrieved 2008-08-12. ^ Lukowski, Jerzy; Zawaszki, Hubert (2001). A Concise History of Poland (First Edition ed.). University of Stirling Libraries – Popular Loan (Q 43.8 LUK): Cambridge University Press. p. 3. ISBN 0-521-55917-0. ^ "Poland – UNESCO World Heritage Centre". Whc.unesco.org. http://whc.unesco.org/en/statesparties/pl. Retrieved 2012-02-06. ^ (English) "Human Development Index and its components". hdr.undp.org. http://hdr.undp.org/en/media/HDR_2010_EN_Table1.pdf. Retrieved 2011-08-27. ^ Polani by John Canaparius, Vita sancti Adalberti episcopi Pragensis, or Life of St. Adalbert of Prague, 999. ^ Teeple, J. B. (2002). Timelines of World History. Publisher: DK Adult. ^ (English) Norman Davies (1996). Europe: a history. Oxford University Press. p. 428. ISBN 0-19-820171-0. "By 1490 the Jagiellons controlled Poland-Lithuania, Bohemia, and Hungary, but not the Empire." ^ "Jagiellon dynasty (European history)". Encyclopædia Britannica. ^ Davies (2007). Warfare, State and Society on the Black Sea Steppe,1500–1700.. p.17. ^ "Poland – Independence Won and Lost, 1914–45.". Library of Congress Country Studies. ^ Frątczak, Sławomir Z. (2005). "Cud nad Wisłą" (in Polish). Głos (32/2005). Retrieved on June 18, 2006. ^ (English) Lynne Olson & Stanley Cloud. 2003. A Question of Honor. The Kosciuszko Squadron: Forgotten Heroes of World War II. New York: Knopf. ^ Peszke, Michael Alfred (February 1999). Poland's Navy, 1918–1945. Hippocrene Books. p. 37. ISBN 978-0-7818-0672-5. ^ a b Richard C. Lukas, Out of the Inferno: Poles Remember the Holocaust, University Press of Kentucky 1989 – 201 pages. Page 13; also in Richard C. Lukas, The Forgotten Holocaust: The Poles Under German Occupation, 1939–1944, University Press of Kentucky, 1986, Google Print, p.13. ^ (English) "Merkel honours Polish freedom struggle and Tiananmen victims". www.thelocal.de. AFP. http://www.thelocal.de/politics/20090604-19717.html. Retrieved 2009-09-28. ^ Arthur Bliss Lane I saw Poland betrayed: An American Ambassador Reports to the American People. Indianapolis: The Bobbs-Merrill Company, 1948. ^ "Real GDP growth in CEECs". Transitioneconomies.blogspot.com. 2006-05-28. http://transitioneconomies.blogspot.com/2006/05/real-gdp-growth-in-ceecs.html. Retrieved 2009-05-06. ^ "WHY POLAND?" (PDF). http://polisci.lsa.umich.edu/documents/jjackson/chapt1.pdf. Retrieved 2009-07-08. ^ "Europe's border-free zone expands". BBC News. 21 December 2007. http://news.bbc.co.uk/1/hi/7153490.stm. Retrieved 28 July 2011. ^ "Poland.pl – White Stork – About White Stork". Storks.poland.pl. http://storks.poland.pl/about_stork/index.htm. Retrieved 2009-05-06. ^ (Polish) "Wybrzeże Morza Bałtyckiego". www.zalewszczecinski.net. http://zalewszczecinski.net/akweny/wybrzeze-morza-baltyckiego. Retrieved 2009-11-16. ^ "News Poland | Minorities make the news". Newpolandexpress.pl. 2011-10-15. http://www.newpolandexpress.pl/polish_news_story-3634-minorities_make_the_news_.php. Retrieved 2011-11-02. ^ "Transgender woman poised for seat in Poland's new parliament". London: Telegraph. 2011-10-10. http://www.telegraph.co.uk/news/worldnews/europe/poland/8817279/Transgender-woman-poised-for-seat-in-Polands-new-parliament.html. Retrieved 2011-11-02. ^ a b Davies, Norman (1996). Europe: A History. Oxford University Press. p. 699. ISBN 0-19-820171-0. http://books.google.com/books?id=jrVW9W9eiYMC&pg=PA699. ^ Grushenko, Kateryna (12 November 2010). "Polish representative: ‘Poland is ready to help Ukraine as long as you are interested’". Kyiv Post. http://www.kyivpost.com/news/guide/world-in-uktaine/detail/89674/. Retrieved 28 July 2011. ^ "Bordering on madness: Belarus mistreats its Polish minority". The Economist. 16 June 2005. http://economist.com/displaystory.cfm?story_id=4085710. Retrieved 28 July 2011. ^ "Jerzy Buzek elected President of the European Parliament". European Parlament. 2009-07-14. http://www.europarl.europa.eu/sides/getDoc.do?type=IM-PRESS&reference=20090713IPR58063&language=EN. Retrieved 2010-12-12. ^ a b c (Polish) "Strategia Bezpieczeństwa Narodowego RP" (PDF). www.wp.mil.pl. http://www.wp.mil.pl/pliki/File/zalaczniki_do_stron/SBN_RP.pdf. Retrieved 2008-09-26. ^ Day, Matthew (5 August 2008). "Poland ends army conscription". London: Telegraph. http://www.telegraph.co.uk/news/worldnews/europe/poland/2505447/Poland-ends-army-conscription.html. Retrieved 28 July 2011. ^ "Polska zakończyła udział w misjach po auspicjami ONZ – Wiadomości z kraju i ze świata – Gazeta Prawna – Partner pracodawcy, narzędzie specjalisty". Gazetaprawna.pl. 2009-12-31. http://www.gazetaprawna.pl/wiadomosci/artykuly/382706,polska_zakonczyla_udzial_w_misjach_po_auspicjami_onz.html. Retrieved 2011-11-02. ^ "Accident Database". AirDisaster.com. http://www.airdisaster.com/cgi-bin/view_details.cgi?date=04102010&reg=101&airline=Polish+Air+Force. Retrieved 2010-12-12. ^ "Senior Polish figures killed in plane crash". BBC. 2010-04-11. http://news.bbc.co.uk/2/hi/europe/8613395.stm. ^ "– 15 tys. zimowych mundurów trafi do jednostek". Policja.pl. 30 September 2009. http://www.policja.pl/portal/pol/1/59960/15_tys_zimowych_mundurow_trafi_do_jednostek.html. Retrieved 28 July 2011. ^ "Nowe radiowozy dla policji". Moto.onet.pl. 3 March 2009. http://moto.onet.pl/1545847,1,nowe-radiowozy-dla-policji,artykul.html?node=2. Retrieved 28 July 2011. ^ "Country and Lending Groups | Data". Data.worldbank.org. http://data.worldbank.org/about/country-classifications/country-and-lending-groups#High_income. Retrieved 2010-11-09. ^ a b "How Poland became only EU nation to avoid recession". CNN. 29 June 2010. http://articles.cnn.com/2010-06-29/world/poland.economy.recession_1_poland-transition-economies-eastern-europe?_s=PM:WORLD. Retrieved 28 July 2011. ^ "Central Europe Risks Downgrades on Worsening Finances (Update1)". Bloomberg.com. 2009-09-21. http://www.bloomberg.com/apps/news?pid=newsarchive&sid=apz_BEuHrNpI. Retrieved 2010-01-27. ^ "Zloty to Gain, Says LBBW, Most Accurate Forecaster (Update1)". Bloomberg.com. 2009-10-09. http://www.bloomberg.com/apps/news?pid=newsarchive&sid=a7k1g_PkuROs#. Retrieved 2010-01-27. ^ "Banking Sector in Poland | Thomas White International". Thomaswhite.com. 2011-09-16. http://www.thomaswhite.com/explore-the-world/emerging-market-spotlight/poland-banking.aspx. ^ "Poland in the Lead", The Warsaw Voice, September 2002. Retrieved on August 11, 2007. ^ "Polish Information and Foreign Investment Agency. News". www.paiz.gov.pl. http://www.paiz.gov.pl/nowosci/?id_news=1297&lang_id=12. Retrieved 2008-09-26. ^ "GDP per capita in PPS". Eurostat. http://epp.eurostat.ec.europa.eu/tgm/table.do?tab=table&init=1&plugin=1&language=en&pcode=tsieb010. Retrieved 2010-06-25. ^ Schwab, Klaus. "The Global Competitiveness Report 2010-2011". World Economic Forum. http://www3.weforum.org/docs/WEF_GlobalCompetitivenessReport_2010-11.pdf. Retrieved 25 April 2011. ^ Shapiro, Robert J.. "Foreign Direct Investments in Developing Nations: Issues in Telecommunications and the Modernization of Poland". CEIS. http://www.investmentsecurity.org/wp-content/uploads/2011/02/CEIS-FDI-Report_Apr-2011.pdf. Retrieved 27 April 2011. ^ "Waking up to the new economy: Ernst & Young's 2010 European attractiveness survey". Ernst & Young. http://www.ey.com/Publication/vwLUAssets/Attractiveness_survey_2010_EU/$FILE/Attractiveness_survey_2010_EU.pdf. Retrieved 25 April 2011. ^ "Communication on the average monthly salary in enterprise sector excluding payments from profit awards in December 2010" (in (Polish)). Stat.gov.pl. http://finanse.wp.pl/kat,58434,title,GUS-podal-dane-o-wynagrodzeniach,wid,13051878,wiadomosc.html?ticaid=1ba11. Retrieved 2010-11-04. ^ "OECD Economic Outlook No. 82 – Poland" (PDF). Archived from the original on 2007-03-28. http://web.archive.org/web/20070328163217/http://www.oecd.org/dataoecd/6/32/20213254.pdf. Retrieved 2010-04-12. ^ "Statistic Office of Poland(GUS)" (in (Polish)). Stat.gov.pl. http://www.stat.gov.pl/bdr_n/app/wybrane_cechy.wymiary. Retrieved 2010-11-19. ^ "Poles getting rich quick...". Polskie Radio, thenews.pl. http://www.thenews.pl/business/artykul141422_poles-getting-rich-quick-.html. Retrieved 2010-10-13. ^ Jędrzej Bielecki. "Polacy są w światowej czołówce bogacących się narodów". Dziennik Gazeta Prawna. http://forsal.pl/artykuly/458053,polacy_sa_w_swiatowej_czolowce_bogacacych_sie_narodow.html. Retrieved 2010-10-13. ^ a b "Topic Galleries". chicagotribune.com. http://www.chicagotribune.com/news/sns-rt-us-poland-immigrantstre7bs11w-20111229,0,2982543.story. Retrieved 2012-02-06. ^ a b Kasat Sp. z o.o. (2008-12-31). "Imigranci w Polsce 2008 – eGospodarka.pl – Raporty i prognozy". eGospodarka.pl. http://www.egospodarka.pl/36792,Imigranci-w-Polsce-2008,1,39,1.html. Retrieved 2012-02-06. ^ "Coraz więcej Azjatów emigruje do Polski". Interia.pl. http://fakty.interia.pl/prasa/news/coraz-wiecej-azjatow-emigruje-do-polski,1326394,16. Retrieved 2010-10-13. ^ "Eurostat February 2008 – Euro area unemployment stable at 7.1%". Web.archive.org. 26 July 2008. Archived from the original on 2008-07-26. http://web.archive.org/web/20080726044250/http://epp.eurostat.ec.europa.eu/pls/portal/docs/PAGE/PGP_PRD_CAT_PREREL/PGE_CAT_PREREL_YEAR_2008/PGE_CAT_PREREL_YEAR_2008_MONTH_04/3-01042008-EN-AP.PDF. Retrieved 28 July 2011. ^ "Polish economy seen as stable and competitive". Warsaw Business Journal. 9 September 2010. http://www.wbj.pl/article-51029-polish-economy-seen-as-stable-and-competitive.html. Retrieved 28 July 2011. ^ ATLAS AMONGST THE BEST POLISH BRANDS. Retrieved 21 November 2010. ^ "fDi: Poland Primed for Golden Decade". GinanneBrownell.com. 8 October 2010. http://www.ginannebrownell.com/2010/10/fdi-poland-primed-for-golden-decade/. Retrieved 28 July 2011. ^ (Polish) "Lista 500 największych polskich firm". www.lista500.polityka.pl. http://www.lista500.polityka.pl/rankings/show. Retrieved 2011-08-27. ^ (English) "Travel And Tourism in Poland". www.euromonitor.com. http://www.euromonitor.com/Travel_And_Tourism_in_Poland. Retrieved 2009-10-12. ^ a b (English) "UNTWO World Tourism Barometer, Vol.5 No.2". www.tourismroi.com. http://www.tourismroi.com/Content_Attachments/27670/File_633513750035785076.pdf. Retrieved 2009-10-12. ^ "Use of renewable fuel in Central and Eastern Europe". Frost.com. 1 March 2009. http://www.frost.com/prod/servlet/cpo/205103205.htm. Retrieved 28 July 2011. ^ "EU Commission – Energy factsheet P74" (PDF). http://ec.europa.eu/energy/publications/statistics/doc/2010_energy_transport_figures.pdf. Retrieved 2011-07-28. ^ "National Road Rebuilding Program (Polish)". Bip.mswia.gov.pl. 2006-02-16. http://bip.mswia.gov.pl/portal/bip/175/17721/Narodowy_Program_Przebudowy_Drog.html. Retrieved 2011-07-28. ^ "Super pociągi zamiast autostrad (Polish)". TVN24. December 23, 2009. http://www.tvn24.pl/12690,1634983,0,1,super-pociagi-zamiast-autostrad,wiadomosc.html. Retrieved December 25, 2009. ^ (English) Richard Francis Mould (1993). A century of X-rays and radioactivity in medicine: with emphasis on photographic records of the early years. p. 19. ISBN 978-0-7503-0224-1. http://books.google.com/?id=IXPz7bVR7g0C&printsec=frontcover&dq=A+century+of+x-rays+and+radioactivity+in+medicine:&q=. ^ (English) KPMG Sp. z o.o.. "Why Poland?". www.paiz.gov.pl. p. 3. http://www.paiz.gov.pl/files/?id_plik=7513. Retrieved 2011-08-27. "Over 80% of foreign investors see the results of their investments to date as positive or very positive and none of the studied companies reported a negative opinion." ^ (English) "Key data on IT and telecoms market in Poland, 2004–2006". www.itandtelecompoland.com. Archived from the original on 2006-11-08. http://web.archive.org/web/20061108212651/http://www.sat.org.au/reviews/articles_pl_middle_ages.htm. Retrieved 2008-09-24. ^ (English) Michał Buchowski, Katarzyna Chlewińska. "Tolerance and Cultural Diversity Discourses in Poland". www.eui.eu. http://www.eui.eu/Projects/ACCEPT/Documents/Research/wp1/ACCEPTPLURALISMWp1BackgroundreportPoland.pdf. Retrieved 2011-08-27. ^ (English) Jan Repa (2007-01-05). "Poles return to Russian language". news.bbc.co.uk. http://news.bbc.co.uk/2/hi/europe/6233821.stm. Retrieved 2011-08-27. "In former satellite countries like Hungary or Poland, knowledge of Russian dwindled rapidly – to be replaced by English and German." ^ Doughty, Steve (2006-04-25). "UK lets in more Poles than there are in Warsaw". London: Dailymail.co.uk. http://www.dailymail.co.uk/news/article-384121/UK-lets-Poles-Warsaw.html. Retrieved 2010-04-12. ^ (English) Alexi Mostrous, Christine Seib (February 16, 2008). "Tide turns as Poles end great migration". www.timesonline.co.uk (London). http://www.timesonline.co.uk/tol/news/uk/article3378877.ece. Retrieved 2011-08-27. "The Times has established that, for the first time since they began arriving en masse four years ago, more UK-based Poles are returning to their homeland than are entering Britain." ^ "Polish Diaspora (Polonia) Worldwide". Culture.polishsite.us. http://culture.polishsite.us/articles/art79fr.htm. Retrieved 2010-04-12. ^ "Centers of Polish Immigration in the World – USA and Germany". Culture.polishsite.us. 2003-03-15. http://culture.polishsite.us/articles/art90fr.htm. Retrieved 2010-04-12. ^ "Maly Rocznik Statystyczny Polski 2009" (in (Polish)) (PDF). http://www.stat.gov.pl/cps/rde/xbcr/gus/PUBL_oz_maly_rocznik_statystyczny_2009.pdf. Retrieved 2009-09-26. ^ "94% Polaków wierzy w Boga". Ekumenizm.pl. 2008-09-25. http://www.ekumenizm.pl/content/article/20080925183042429.htm. Retrieved 2010-04-12. ^ (Polish) Centrum Badania Opinii Społecznej (Centre for Public Opinion Research (Poland) CBOS). Komunikat z badań; Warszawa, Marzec 2005. Co łączy Polaków z parafią? Preface. Retrieved 2007-12-14. ^ Wilde, Robert. "Pope John Paul II 1920–2005". About.com. http://europeanhistory.about.com/od/religionandthought/a/biojohnpaulii.htm. Retrieved 2009-01-01. ^ "Pope John Paul II and Communism". Public domain text. May be distributed freely. No rights reserved.. http://www.religion-cults.com/pope/communism.htm. Retrieved 2009-01-01. ^ (Polish) Dr Zbigniew Pasek, Jagiellonian University, "Wyznania religijne". Archived from the original on November 28, 2006. http://web.archive.org/web/20061128165649/http://www.religioznawstwo.uj.edu.pl/syllabusy/pasek-wrwp.rtf. Retrieved 2007-09-15. Further reading: Ustawa o gwarancjach wolności sumienia i wyznania z dnia 17 V 1989 z najnowszymi nowelizacjami z 1997 roku. ^ (Polish) Michał Tymiński, "Kościół Zielonoświątkowy". Archived from the original on January 2, 2005. http://web.archive.org/web/20050102151031/http://www.kz.pl/index.php?p=13&id=3&i=8. Retrieved 2007-09-14. ^ (Polish) Dr. Paweł Borecki, "Opinia prawna dotycząca religii w szkole". Kateda Prawa Wyznaniowego Uniwersytetu Warszawskiego. http://www.racjonalista.pl/kk.php/s,5534. Retrieved 2007-09-14. ^ (Polish) Wirtualna Polska, Wiadomości. "Polacy przeciwni wliczaniu ocen z religii do średniej". http://wiadomosci.wp.pl/kat,9911,wid,9125933,wiadomosc.html?ticaid=1478d. Retrieved 2007-09-14. ^ (Polish) Olga Szpunar, "Dorośli chcą religii w szkole". Gazeta Wyborcza Kraków. http://miasta.gazeta.pl/krakow/1,35798,4360977.html. Retrieved 2007-09-15. ^ "Poland Guide: The Polish health care system, An introduction: Poland’s health care is based on a general". Justlanded.com. http://www.justlanded.com/english/Poland/Poland-Guide/Health/The-Polish-health-care-system. Retrieved 2011-07-28. ^ "Polish hospitals". Polandpoland.com. http://polandpoland.com/polish_hospitals.html. Retrieved 2011-07-28. ^ "The Quality of Medical Treatment and Surgery in Poland". Articlesbase.com. http://www.articlesbase.com/medicine-articles/the-quality-of-medical-treatment-and-surgery-in-poland-602240.html. Retrieved 2011-07-28. ^ "WHO | Poland". Who.int. 2011-05-17. http://www.who.int/countries/pol/en/. Retrieved 2011-07-28. ^ OECD (2009). "The impact of the 1999 education reform in Poland". http://www.pisa.oecd.org/dataoecd/50/26/45721631.doc. Retrieved 2010-09-17. ^ (English) "Range of rank on PISA 2006 science scale" (PDF). www.oecd.org. http://www.oecd.org/dataoecd/42/8/39700724.pdf. Retrieved 2008-09-24. ^ a b c Ministry of Foreign Affairs of Poland, 2002–2007, AN OVERVIEW OF POLISH CULTURE. Access date 12-13-2007. ^ (English) "Nicolaus Copernicus". www.britannica.com. http://www.britannica.com/EBchecked/topic/136591/Nicolaus-Copernicus. Retrieved 2008-10-10. ^ (French) Rey Alain (1993). Le petit Robert 2 : ( dictionnaire universel des noms propres, alphabétique et analogique ). INIST-CNRS, Cote INIST : L 22712: Le Robert, Paris, FRANCE. ISBN 978-2-85036-210-1. ^ (French) "Maria Sklodowska. La jeunesse". mariecurie.science.gouv.fr. http://mariecurie.science.gouv.fr/portrait/portrait1_1.php. Retrieved 2008-10-10. ^ (Polish) Koca, B. (2006). "Polish Literature – The Middle Ages (Religious writings)". Archived from the original on 2006-11-08. http://web.archive.org/web/20061108212651/http://www.sat.org.au/reviews/articles_pl_middle_ages.htm. Retrieved 10 December 2006. ^ (English) Zdzislaw Najder (1998). "Profiles – Joseph Conrad". www.culture.pl. http://www.culture.pl/en/culture/artykuly/os_conrad_joseph. Retrieved 2008-09-30. ^ "Dr. Sławomir Łodziński, Helsinki Foundation for Human Rights, "The Protection of National Minorities in Poland"". Minelres.lv. http://www.minelres.lv/reports/poland/poland_NGO.htm. Retrieved 2011-07-28. ^ (English) "The Music Courts of the Polish Vasas". www.semper.pl. p. 244. http://www.semper.pl/muzyczne_dwory_summary.pdf. Retrieved 2009-05-13. ^ Busfield, Steve (2006-02-21). "Guardian wins design award". The Guardian (London). http://media.guardian.co.uk/site/story/0,,1714643,00.html. ^ "Facts on the Nobel Prize in Literature". Nobelprize.org. 2009-10-05. http://nobelprize.org/nobel_prizes/literature/shortfacts.html. Retrieved 2011-07-28. ^ Adam Gopnik (June 5, 2007). "Szymborska's 'View': Small Truths Sharply Etched". npr.org. http://www.npr.org/templates/story/story.php?storyId=10721773. Retrieved December 12, 2010. ^ (English) "Szydłowiec". www.szydlowiec.pl. p. 9. Archived from the original on June 23, 2006. http://web.archive.org/web/20060623020259/http://www.szydlowiec.pl/grafika/index/szydl1.pdf. Retrieved 2009-04-23. ^ Many designs imitated the arcaded courtyard and arched loggias of the Wawel palace. (English) Michael J. Mikoś. "RENAISSANCE CULTURAL BACKGROUND". www.staropolska.pl. p. 9. http://www.staropolska.pl/ang/renaissance/Mikos_renaissance/Cultural_r.html. Retrieved 2009-04-23. ^ (English) John Stanley (March–June 2004). "Literary Activities and Attitudes in the Stanislavian Age in Poland (1764–1795): A Social System?". findarticles.com. http://findarticles.com/p/articles/mi_qa3763/is_200403/ai_n9363971/?tag=content;col1. Retrieved 2009-04-23. ^ Encyklopedia kuchni: "Kuchnia polska." Kuchnia.tv, ul. W. Sikorskiego 902-758 Warszawa, 2011. ^ "FIFA World Cup Statistics-Poland". FIFA. http://www.fifa.com/worldfootball/statisticsandrecords/associations/association=pol/worldcup/index.html. Retrieved December 12, 2010. ^ "FIFA Statistics – Poland". http://www.fifa.com/worldfootball/statisticsandrecords/associations/association=pol/othertournaments/index.html. Retrieved December 12, 2010. ^ "Poland hosts Euro 2012!". warsaw-life.com. http://www.warsaw-life.com/poland/euro-2012. Retrieved December 12, 2010. ^ "Speedway World Cup: Poland win 2010 Speedway World Cup". worldspeedway.com. http://www.worldspeedway.com/artman/publish/article_13423.shtml. Retrieved December 18, 2010. ^ Steven J. Zaloga; Richard Hook (21 January 1982). The Polish Army 1939–45. Osprey Publishing. pp. 3–. ISBN 978-0-85045-417-8. http://books.google.com/books?id=AAdYFeW2fnoC&pg=PA3. Retrieved 6 March 2011. ^ Jerzy Jan Lerski (1996). Historical dictionary of Poland, 966–1945. Greenwood Publishing Group. pp. 18–. ISBN 978-0-313-26007-0. http://books.google.com/books?id=QTUTqE2difgC&pg=PA18. Retrieved 6 March 2011. ^ E. Garrison Walters (1988). The other Europe: Eastern Europe to 1945. Syracuse University Press. pp. 276–. ISBN 978-0-8156-2440-0. http://books.google.com/books?id=64VpSBd7xUcC&pg=PA276. Retrieved 6 March 2011. ^ See for example: Leonid D. Grenkevich in The Soviet Partisan Movement, 1941–44: A Critical Historiographical Analysis, p.229 or Walter Laqueur in The Guerilla Reader: A Historical Anthology, (New York, Charles Scribiner, 1990, p.233. ^ a b Velimir Vukšić (23 July 2003). Tito's partisans 1941–45. Osprey Publishing. pp. 11–. ISBN 978-1-84176-675-1. http://books.google.com/books?id=SLix5hc4WRgC&pg=PA11. Retrieved 1 March 2011. This page uses content from the English language Wikipedia. The original content was at Poland. The list of authors can be seen in the page history. As with this Familypedia wiki, the content of Wikipedia is available under the Creative Commons License.